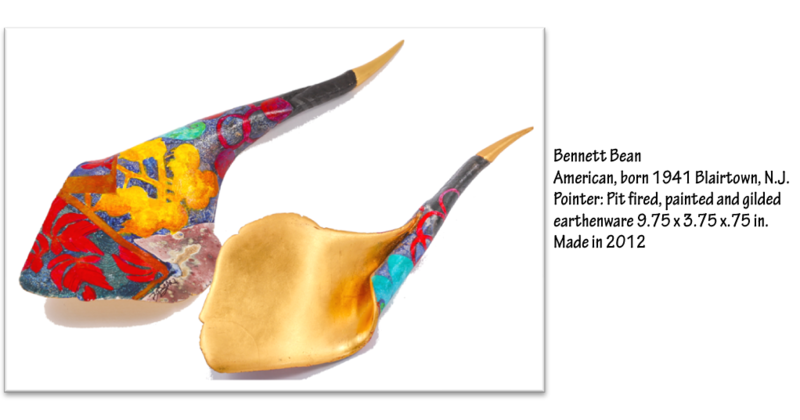 Selections of contemporary and traditional yads from Barr Foundation collection are going on the road! 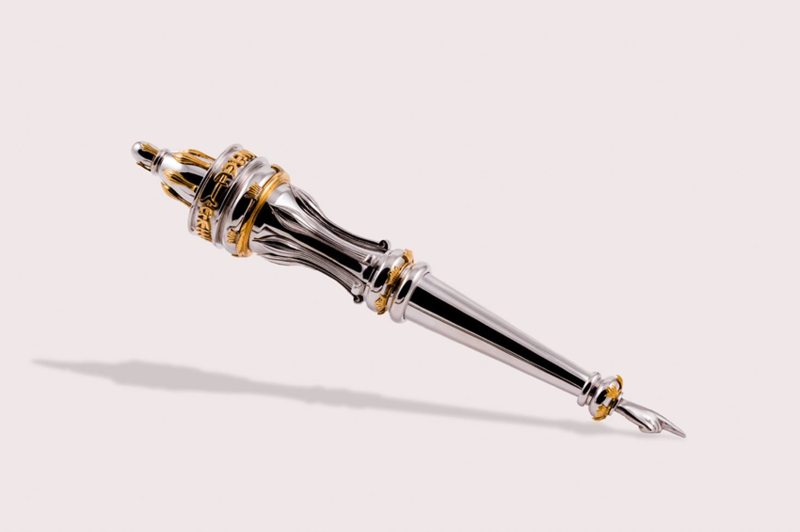 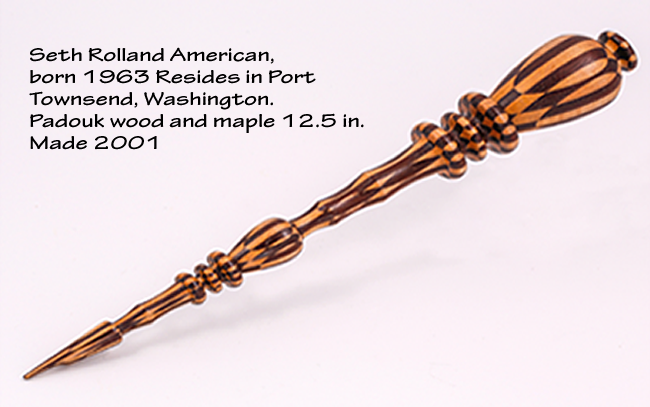 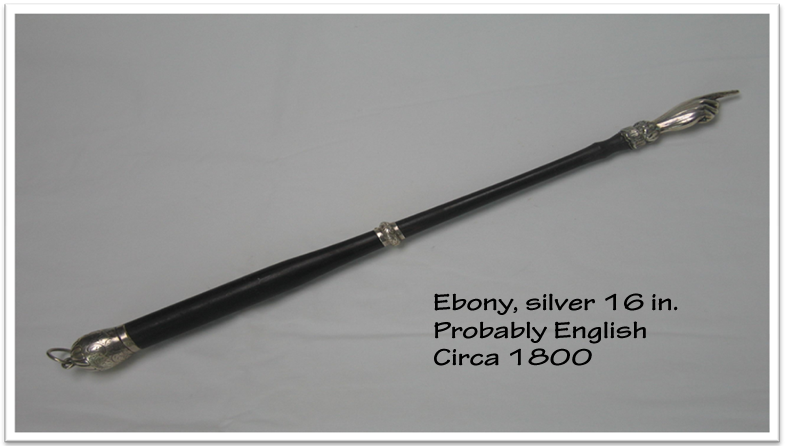 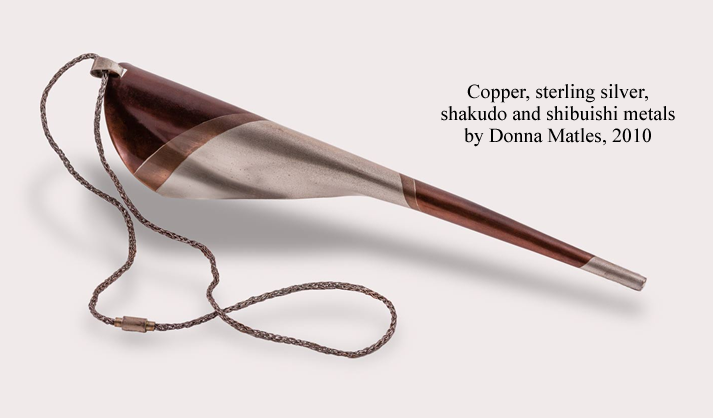 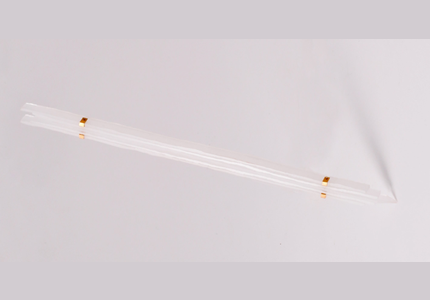 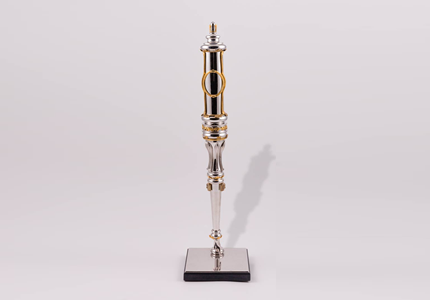 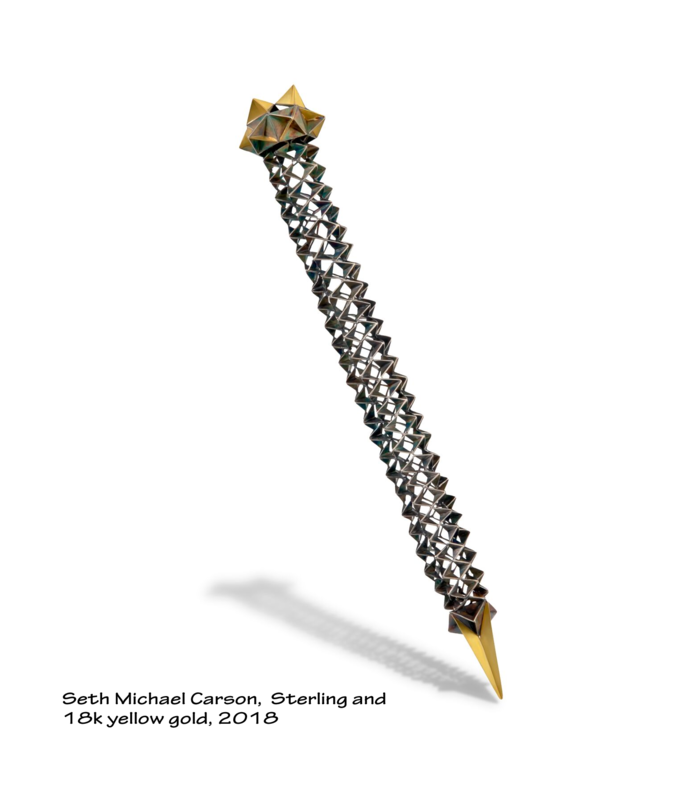 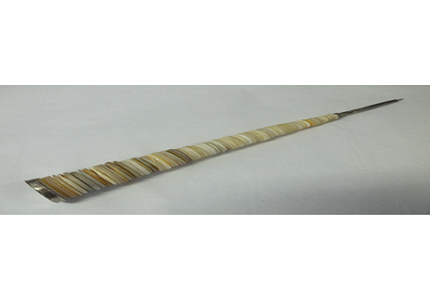 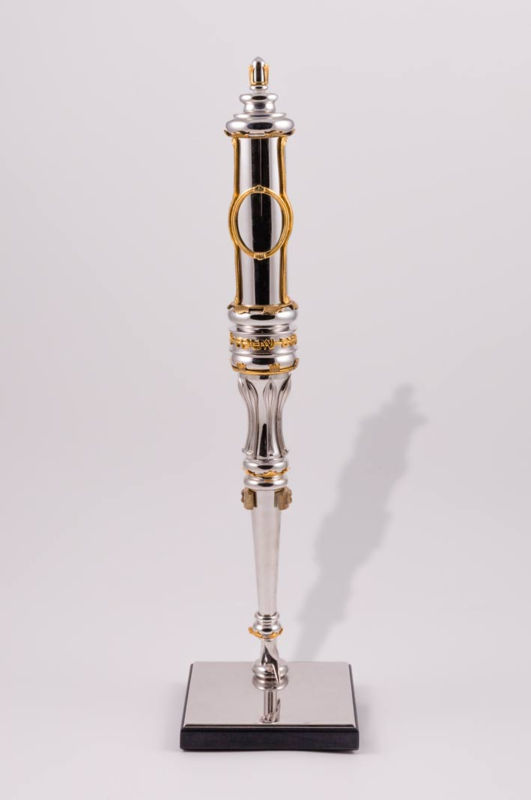 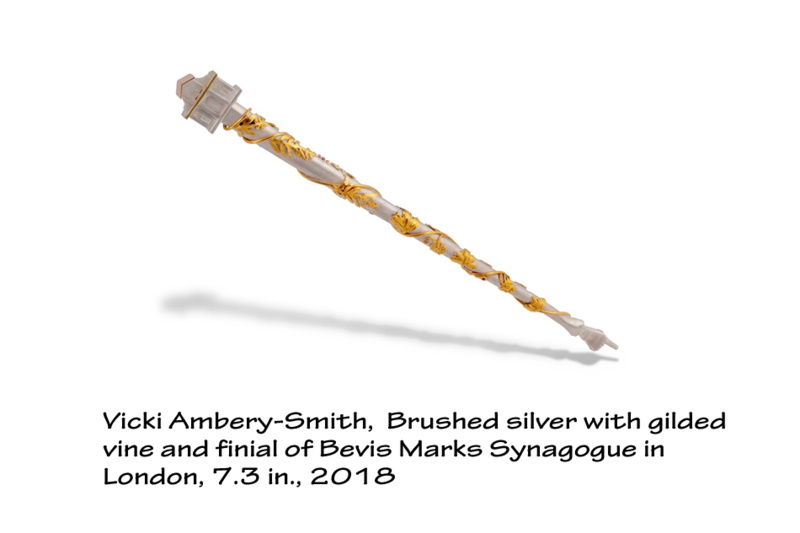 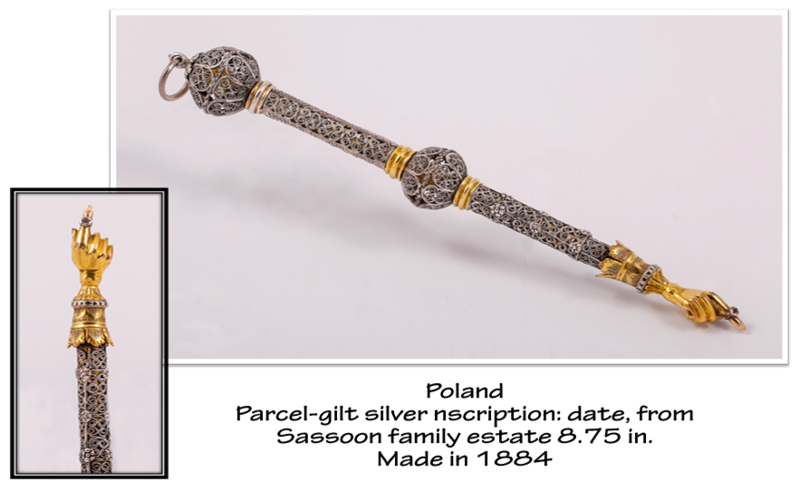 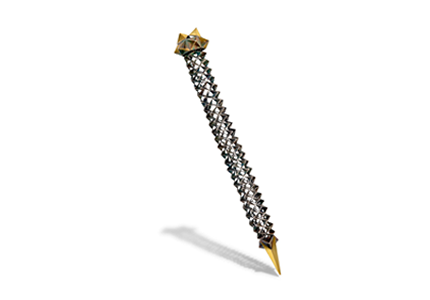 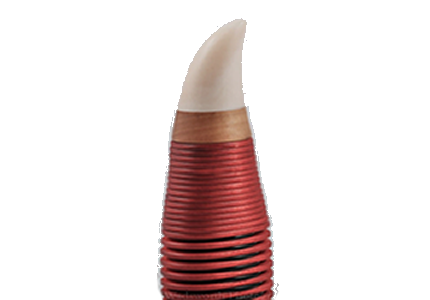 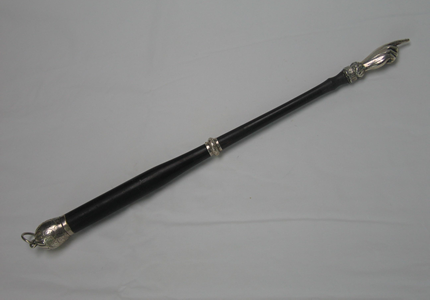 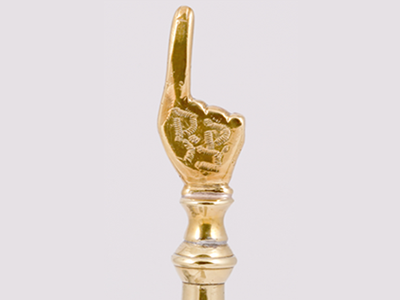 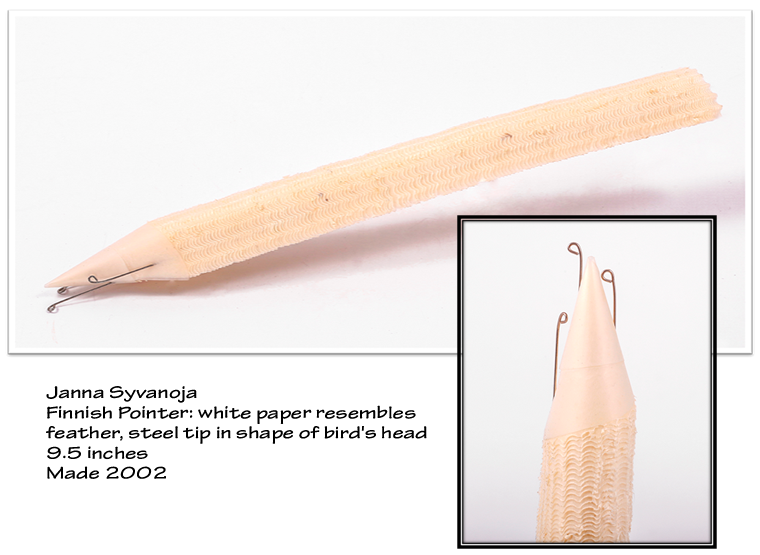 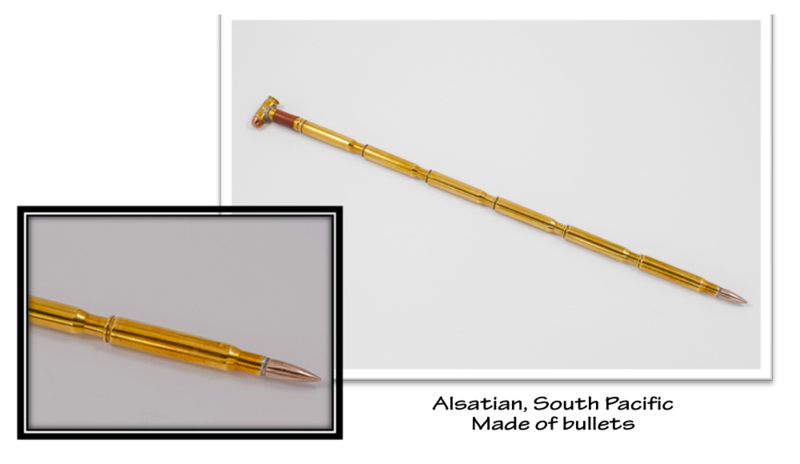 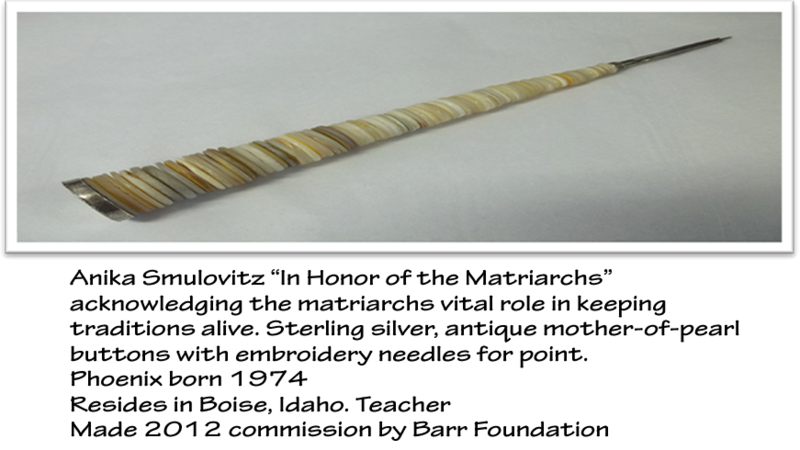 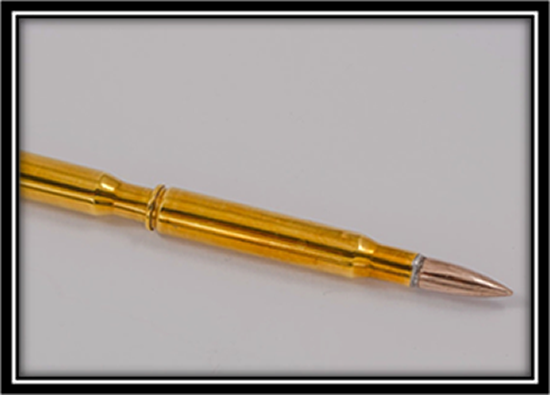 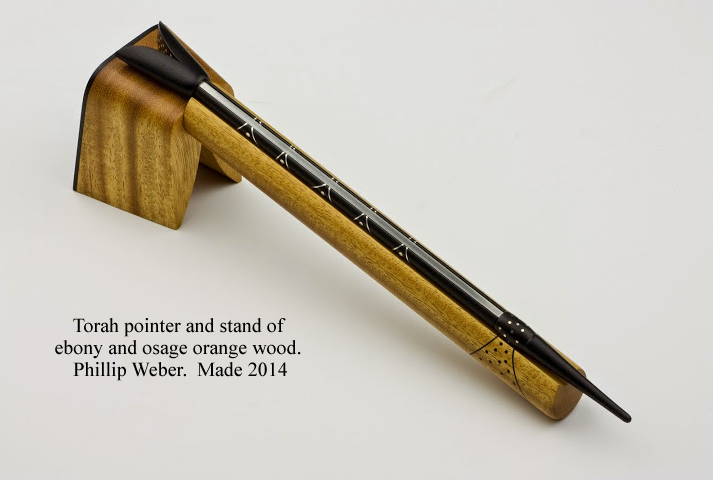 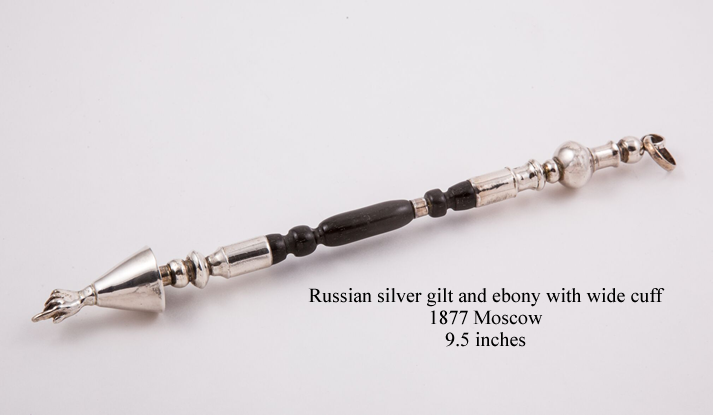 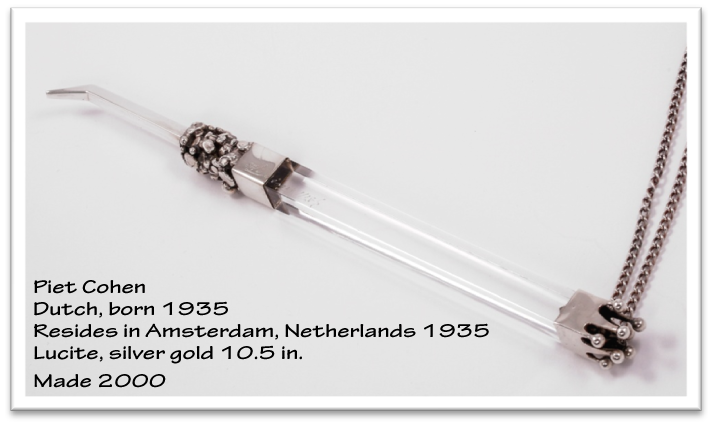 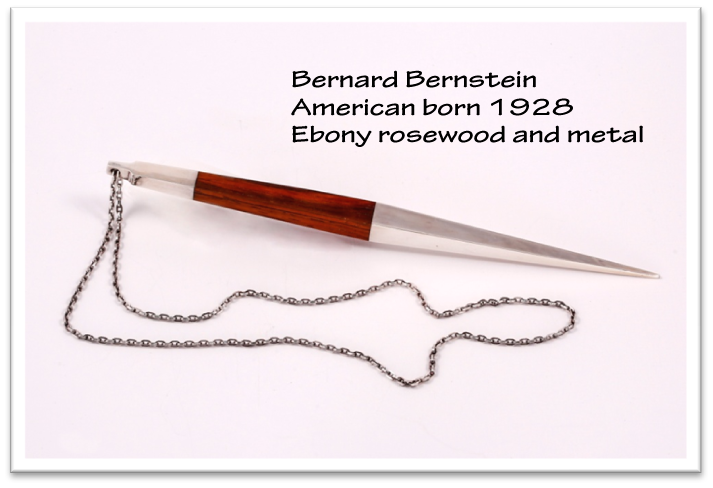 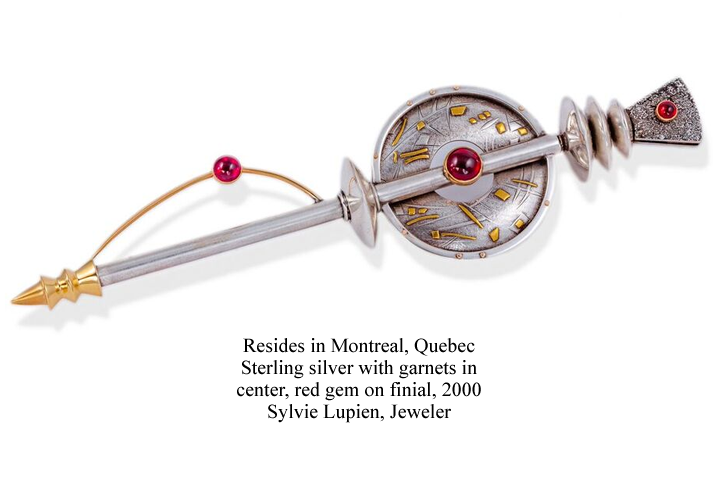 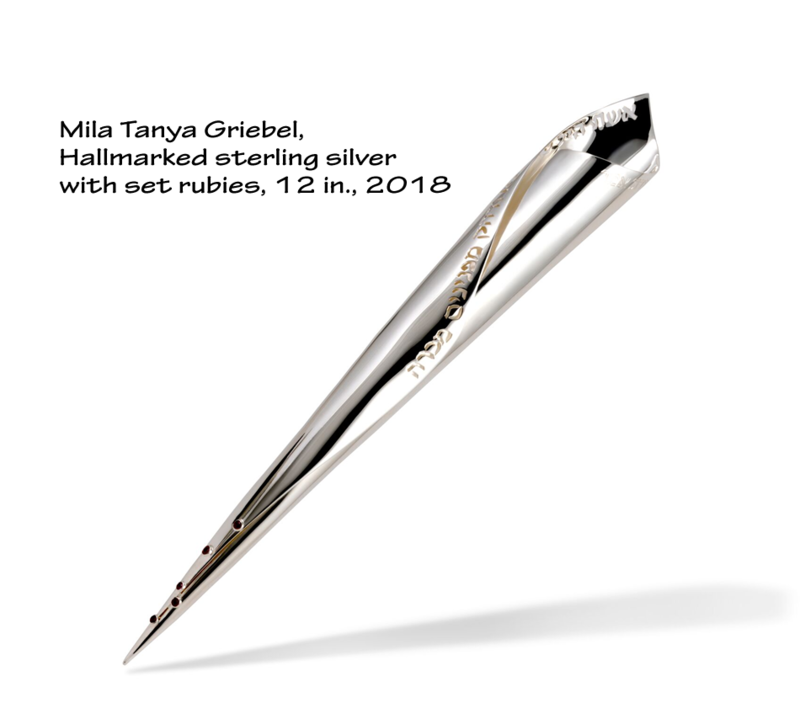 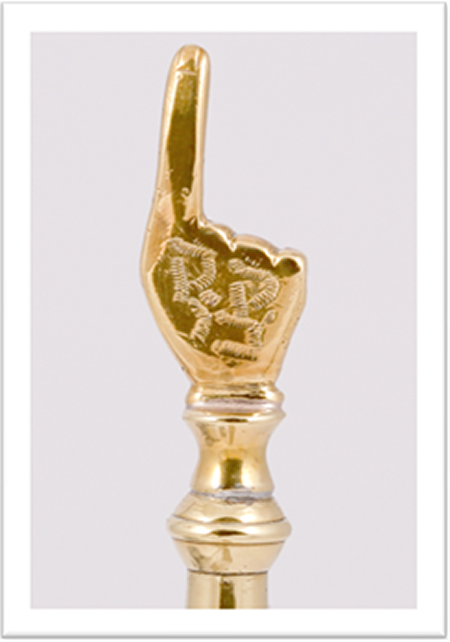 The national tour of highlights of America's largest and most diverse private collection of Torah pointers will take these outstanding examples to the following venues in the coming months. 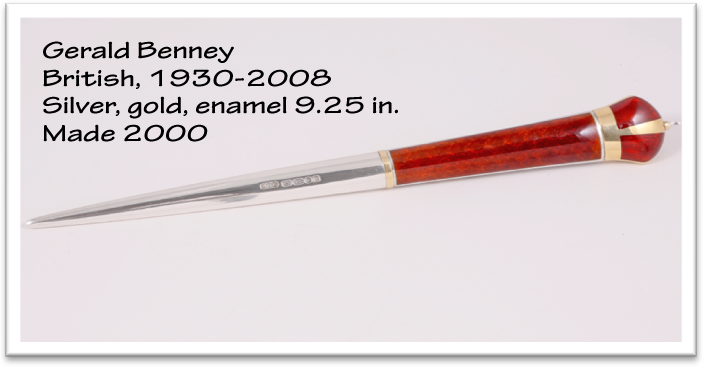 See below for details of time and date. 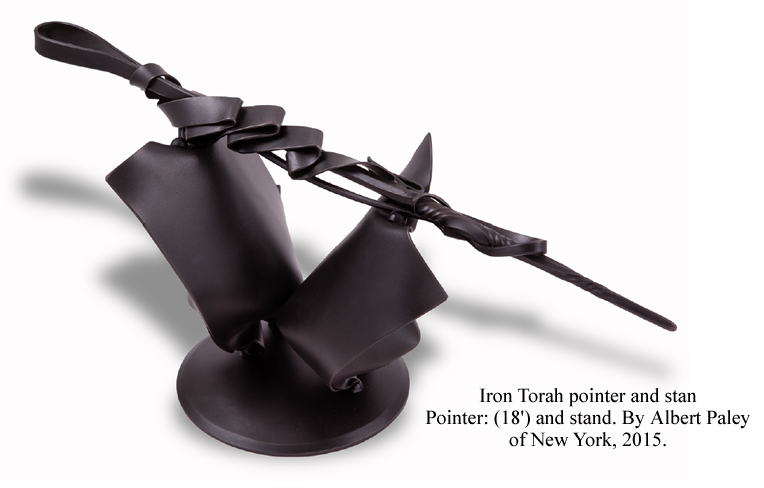 American, born 1932 Le Roy, N.Y.
American, born 1952 Resides in Long Island City, NY. 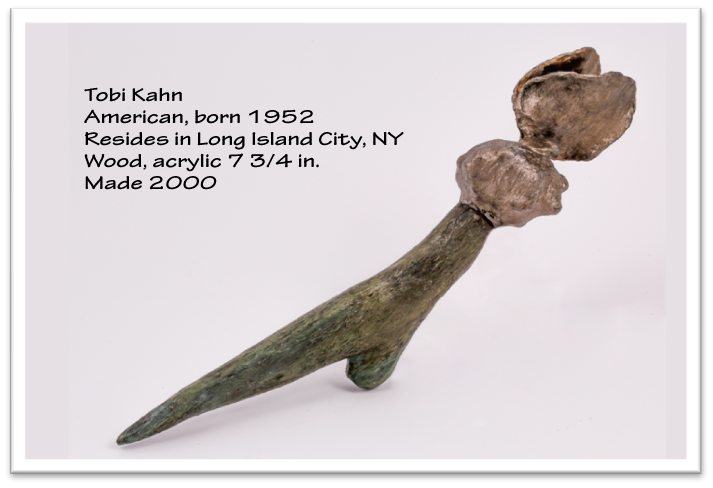 American, born 1945 Resides in New York, N.Y.
American, born 1938, and Kurt Matzdorf, American, born Germany, 1922-2008. 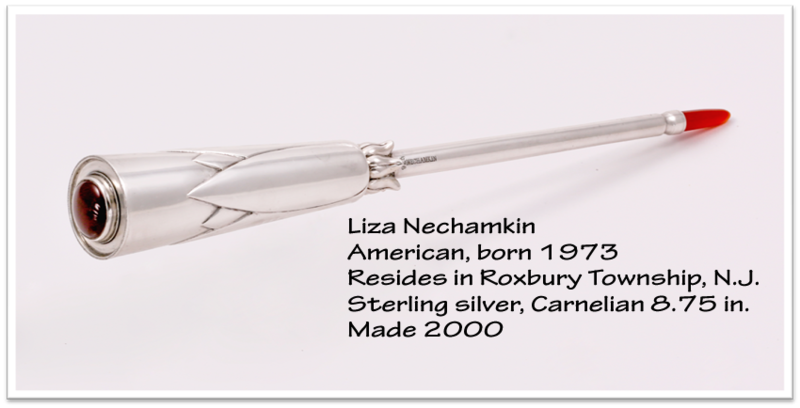 American, born 1973 Resides in Roxbury Township, N.J.
American, born 1963 Resides in Port Townsend, Washington. 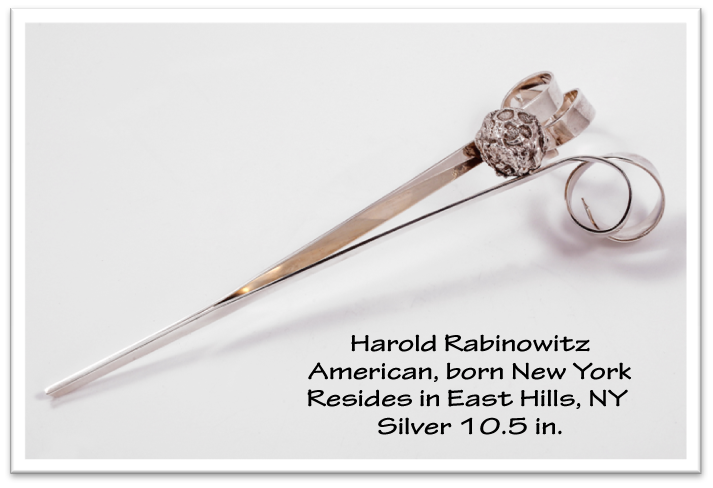 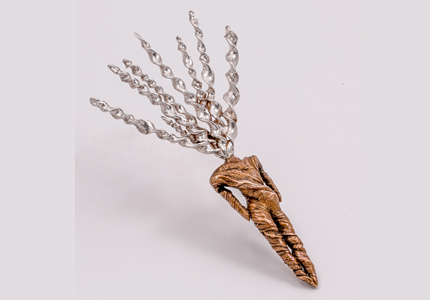 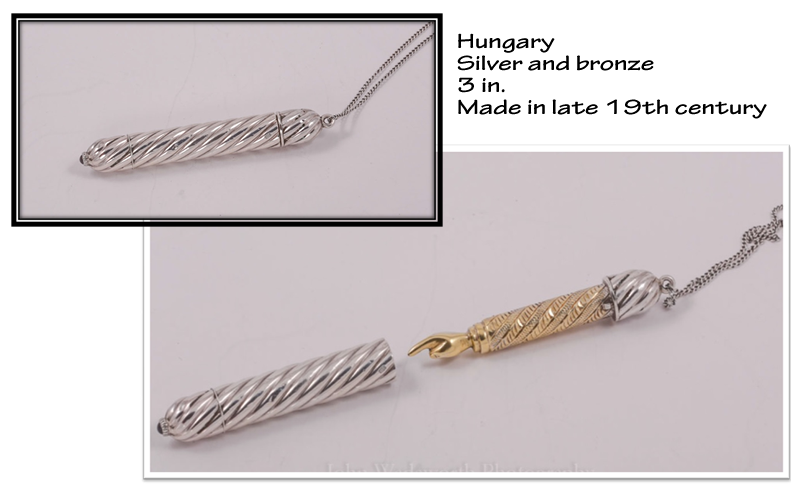 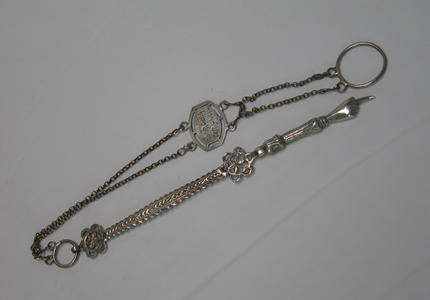 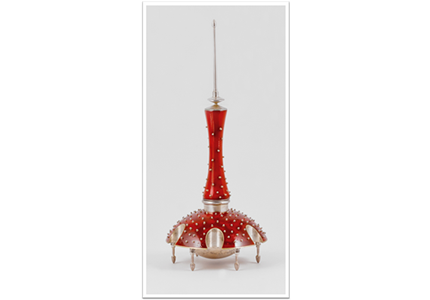 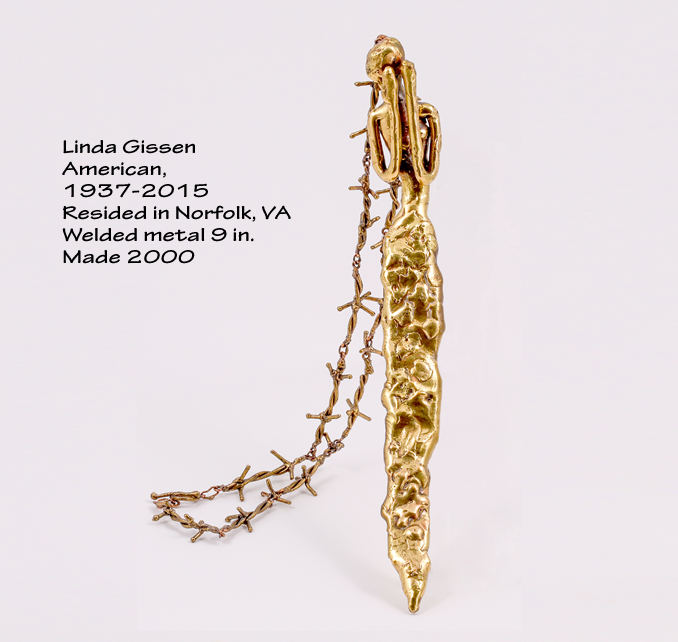 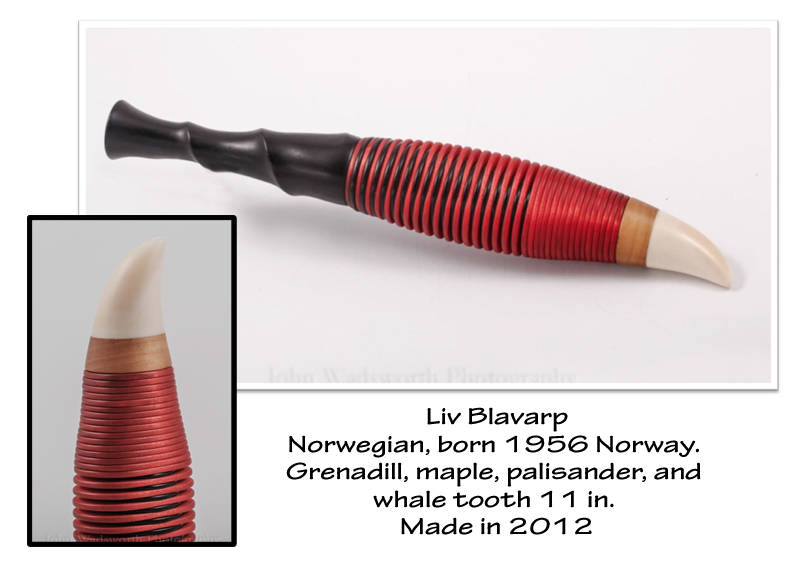 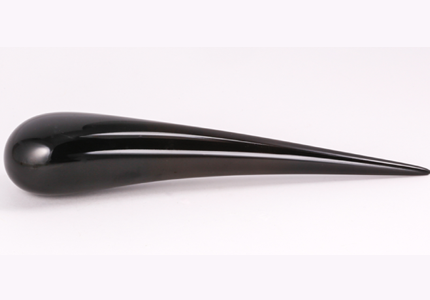 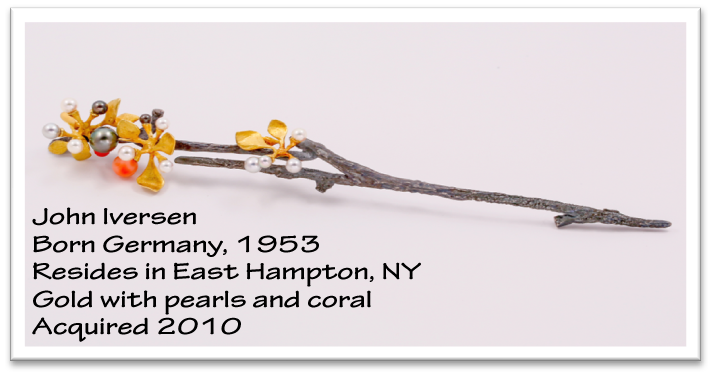 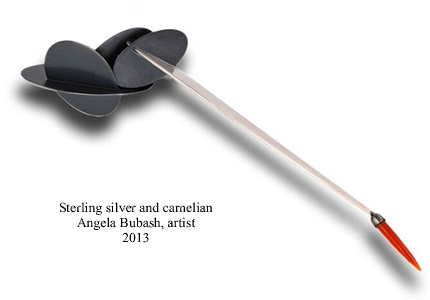 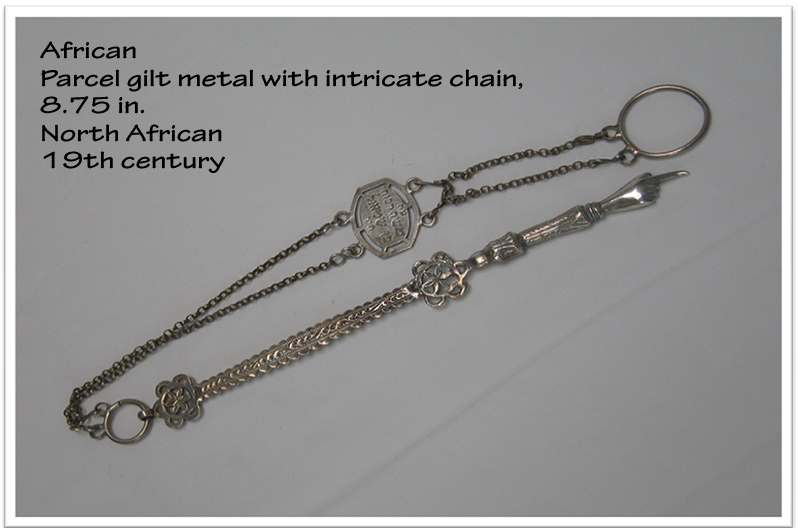 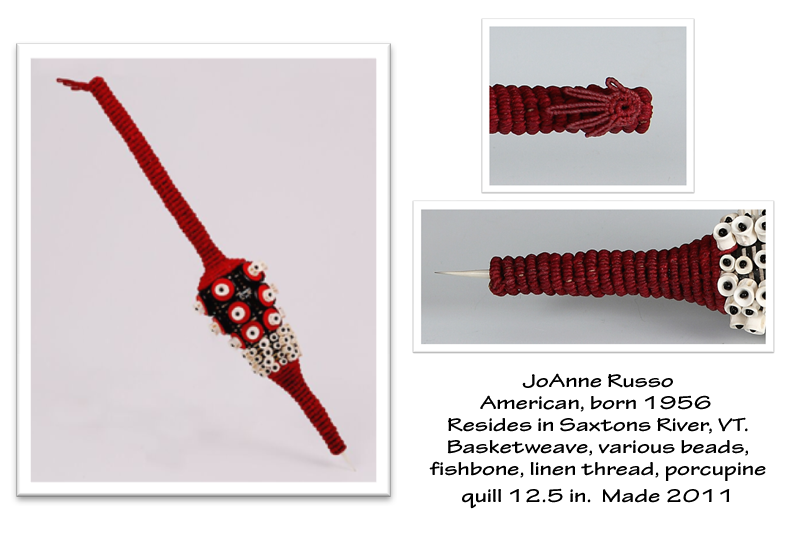 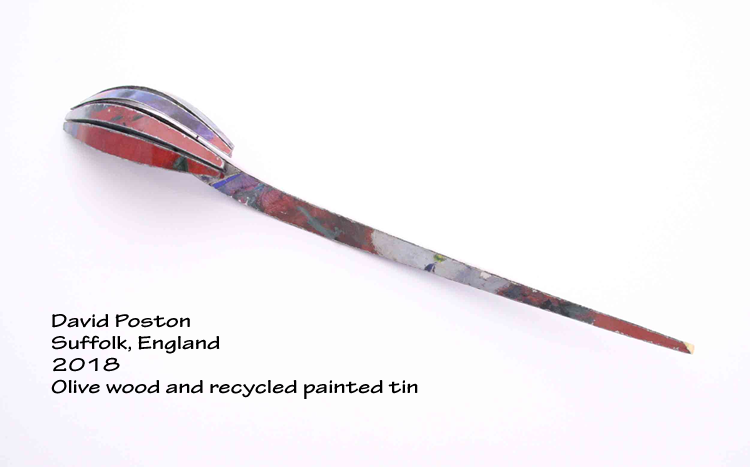 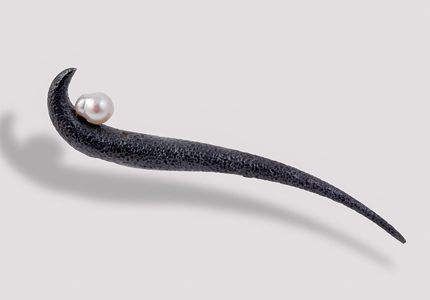 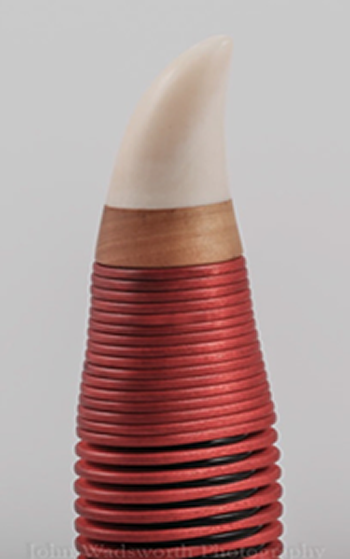 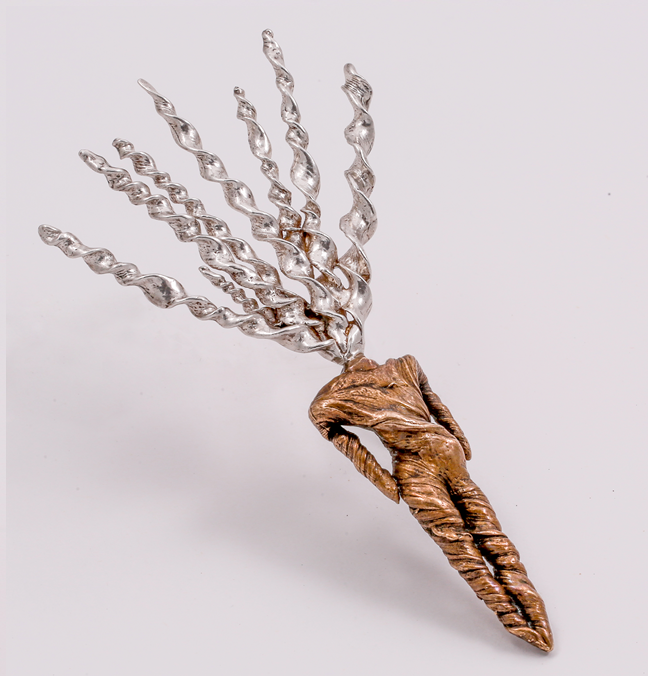 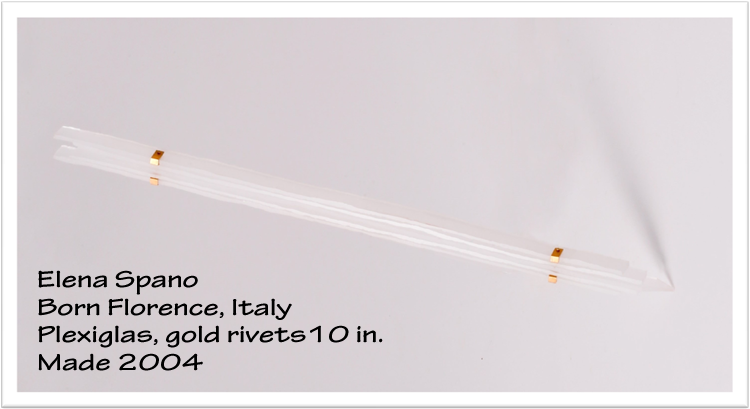 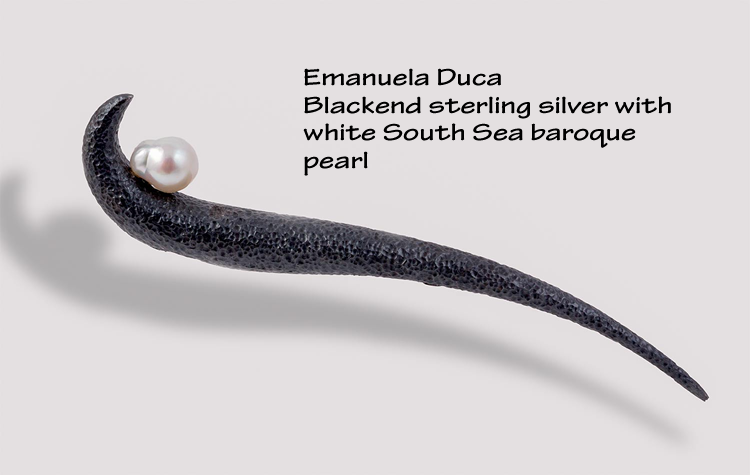 American, born 1956 Resides in Saxtons River, VT.
American, born New York Resides in East Hills, NY Silver 10.5 in. 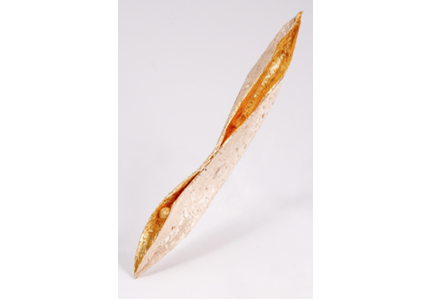 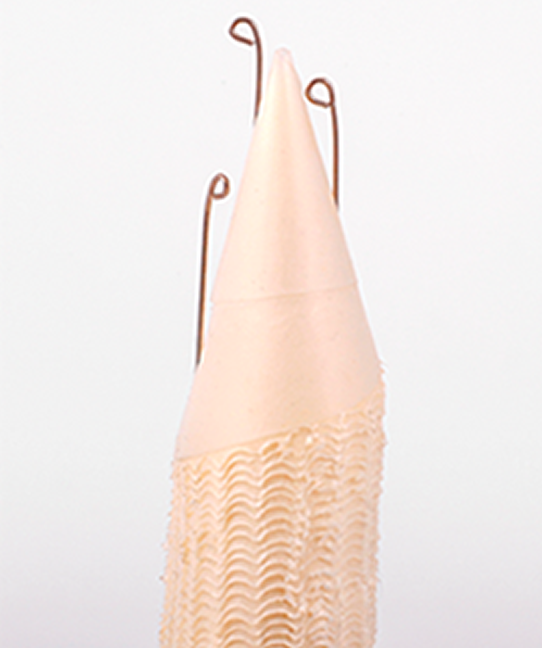 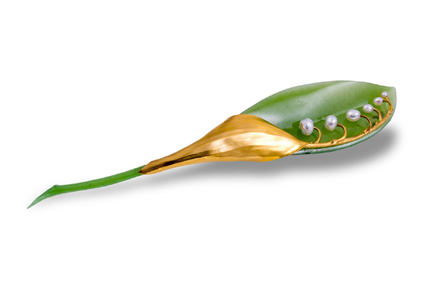 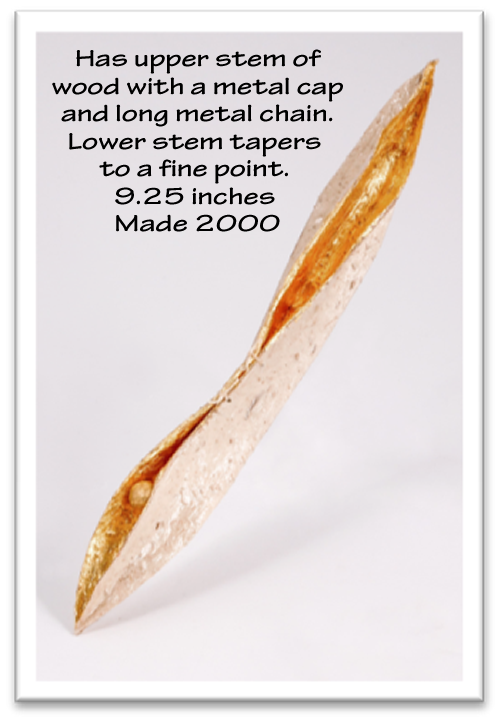 Shaped paper with gilding and orb shape forming a pea. 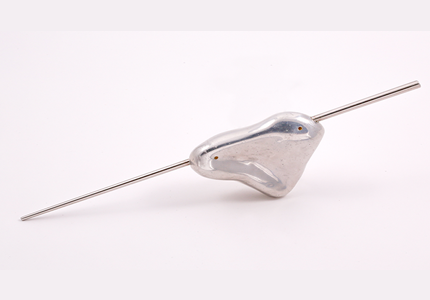 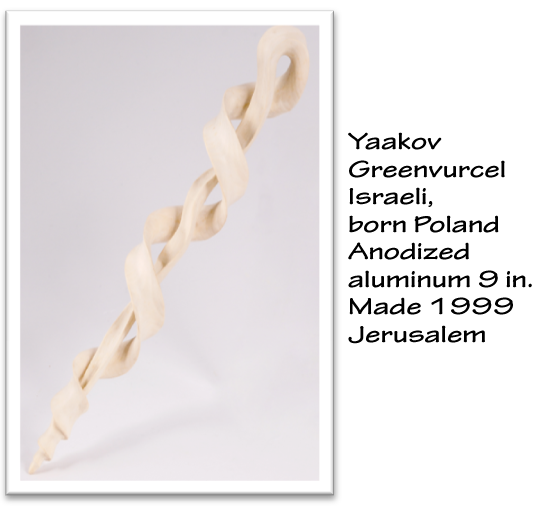 Silver undulating yad. 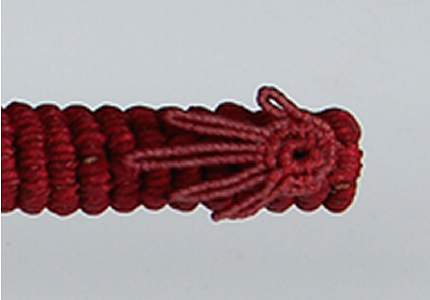 Made 2011. 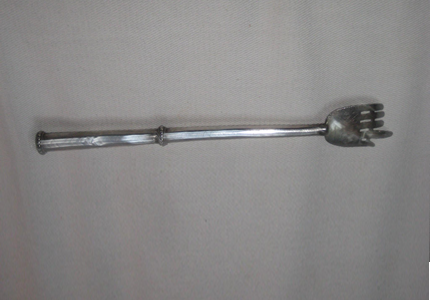 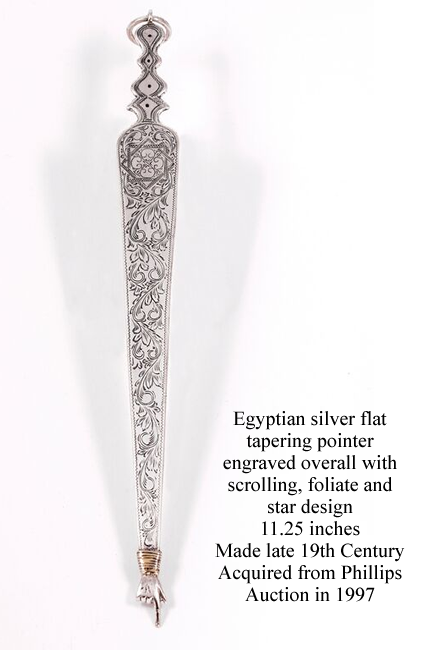 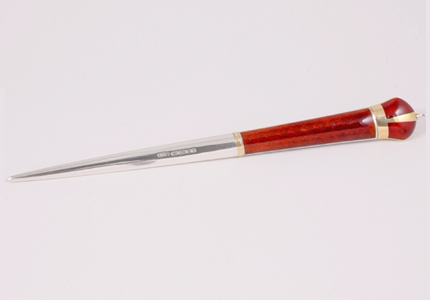 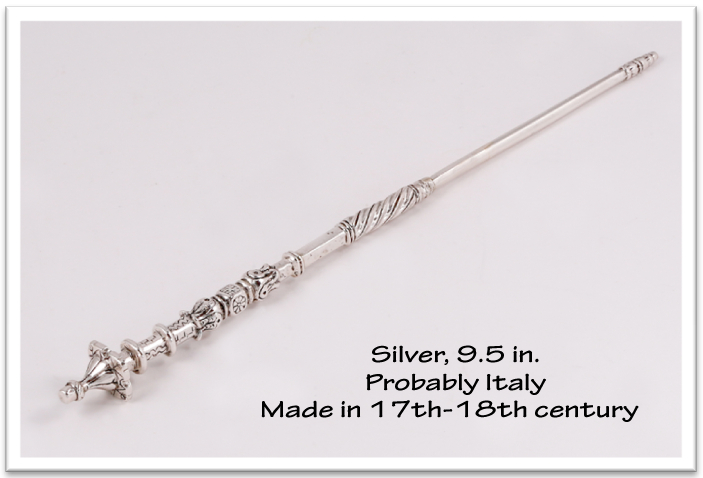 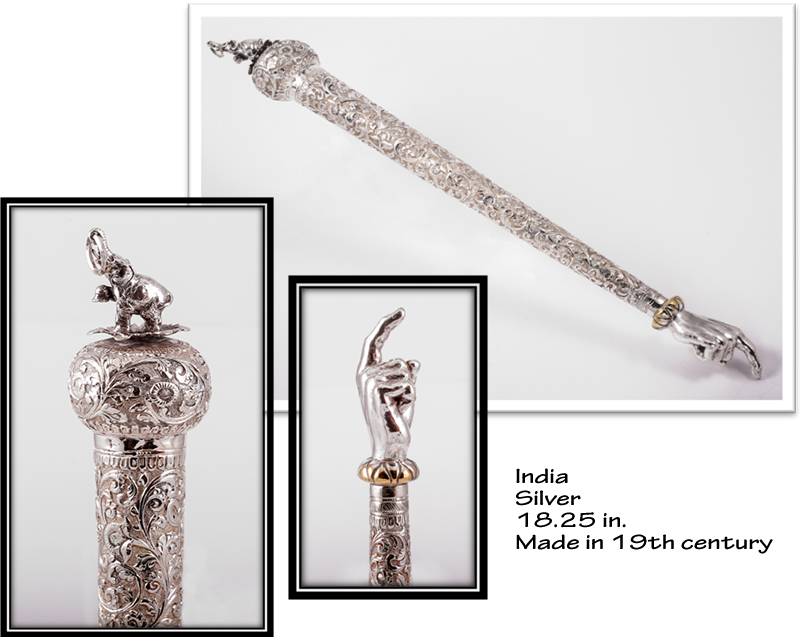 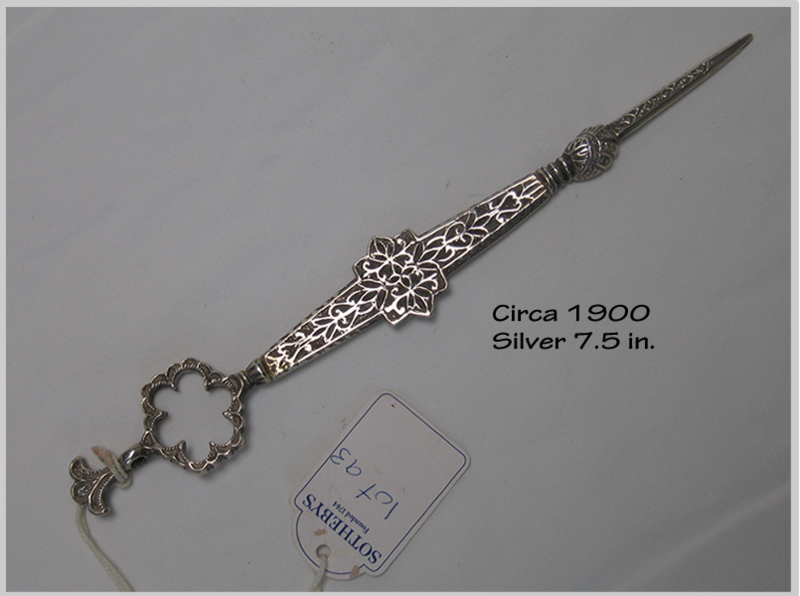 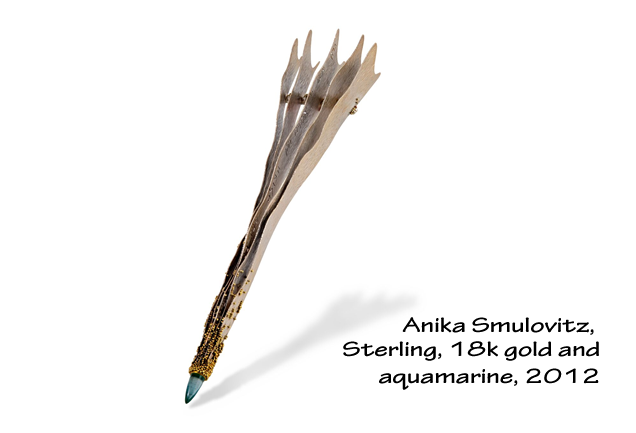 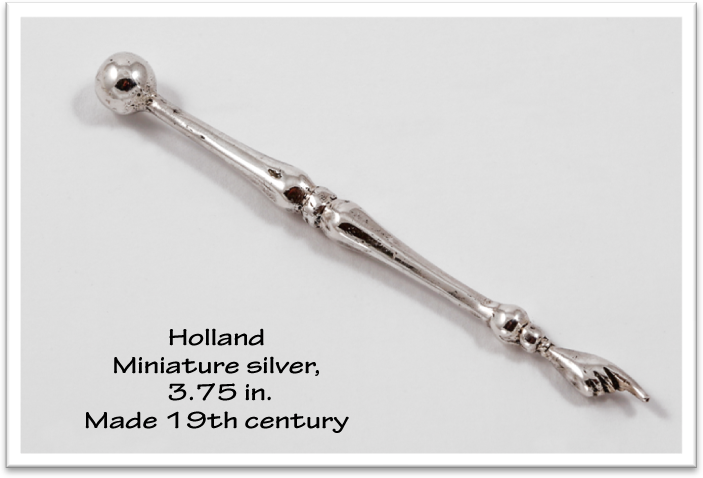 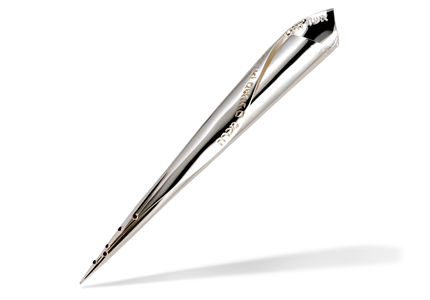 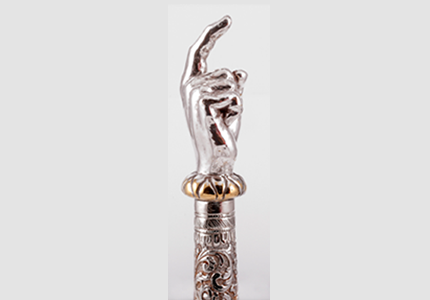 Circa 1900 Pointer: Silver 7.5 in. 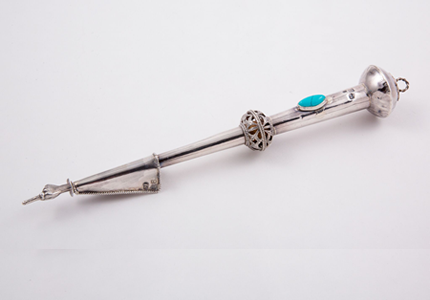 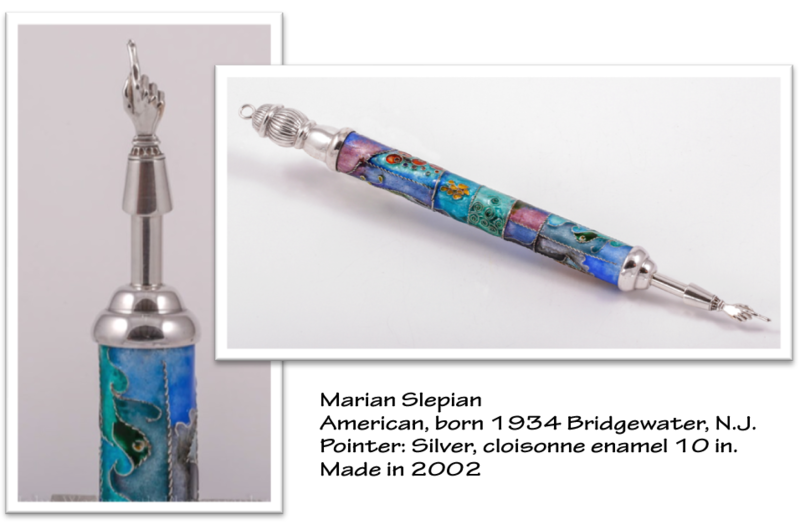 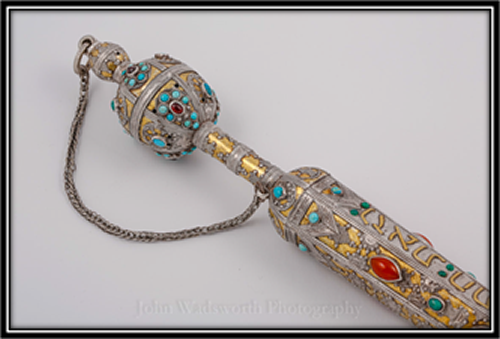 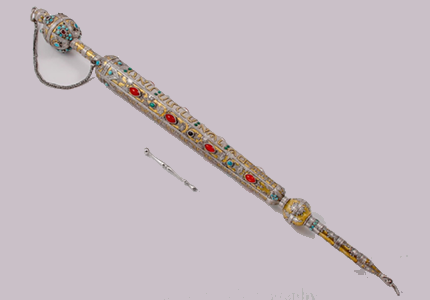 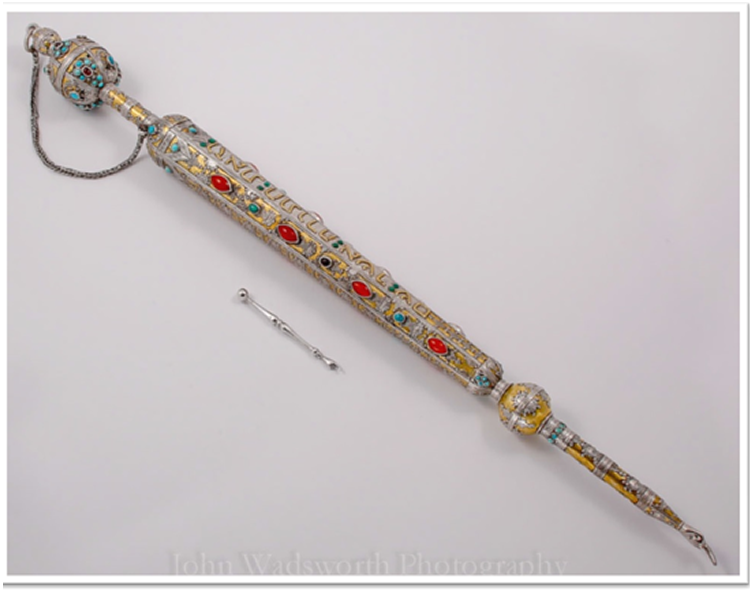 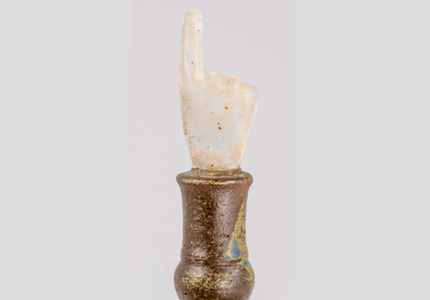 A splendid and large parcel gilt silver torah pointer inset with coral and turquoise. 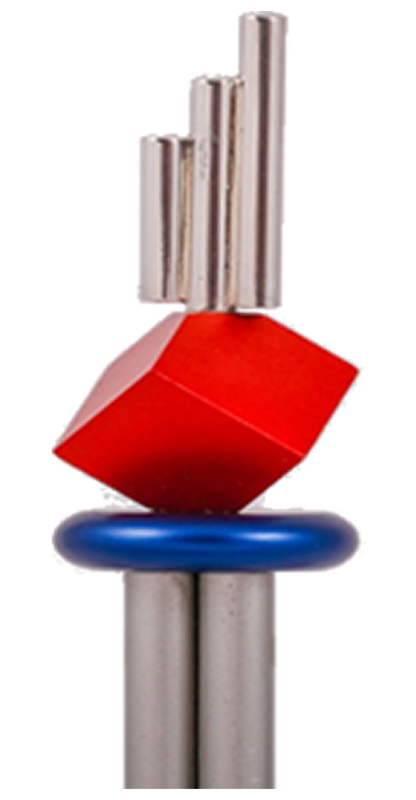 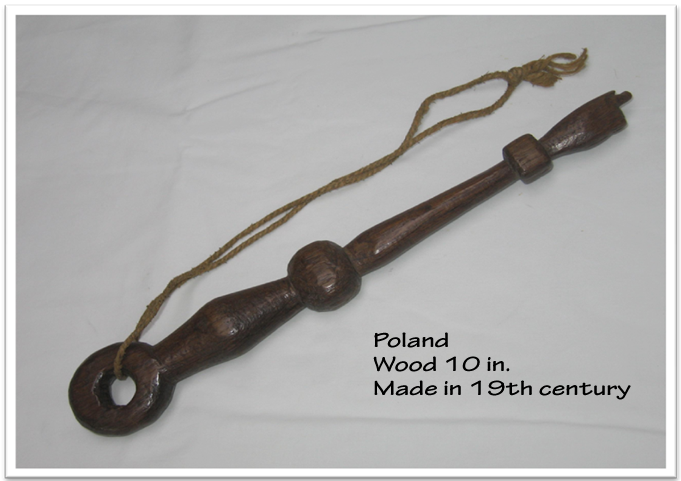 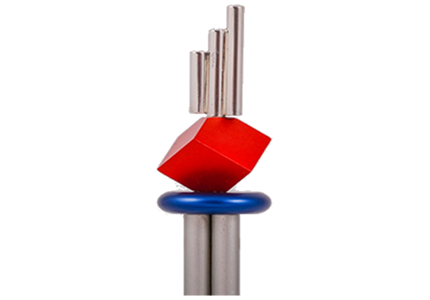 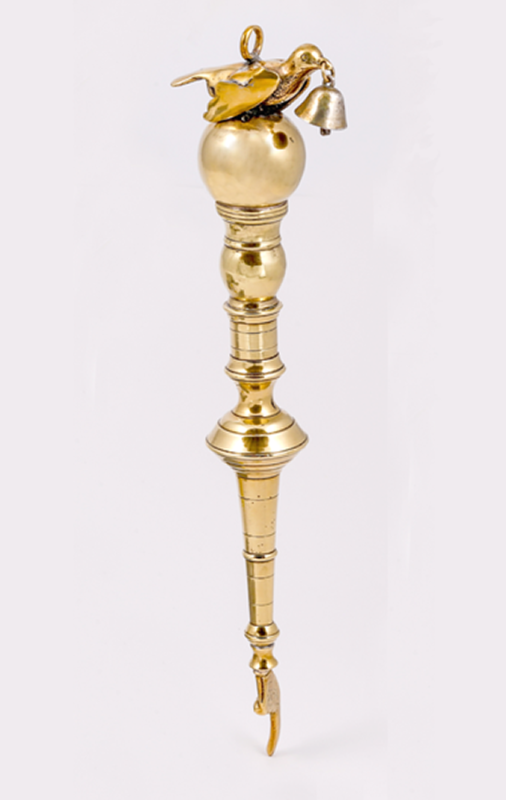 Large ball finial and smaller ball knop fitted with pointed hand. 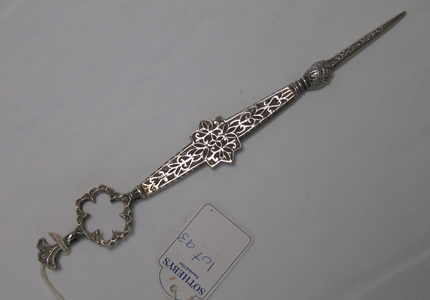 Early 20th century Afghanistan. 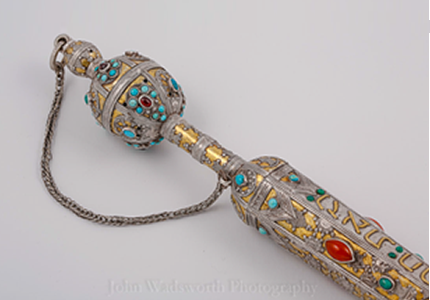 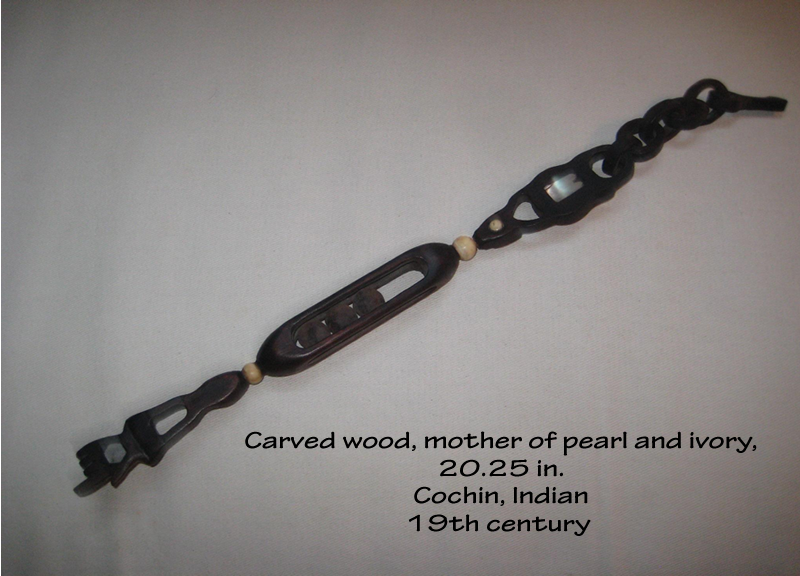 Carved jade, gold and carved pearls. 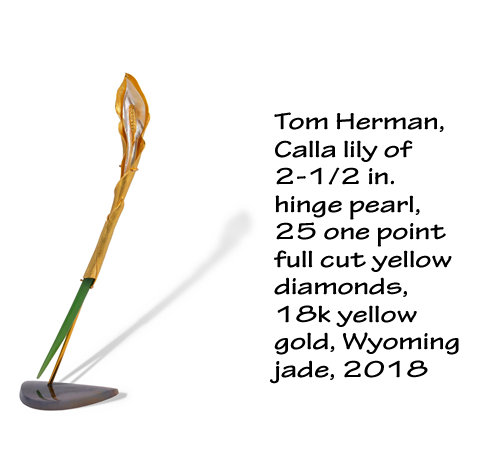 by Tom Herman of Seven Fingers, 2015. 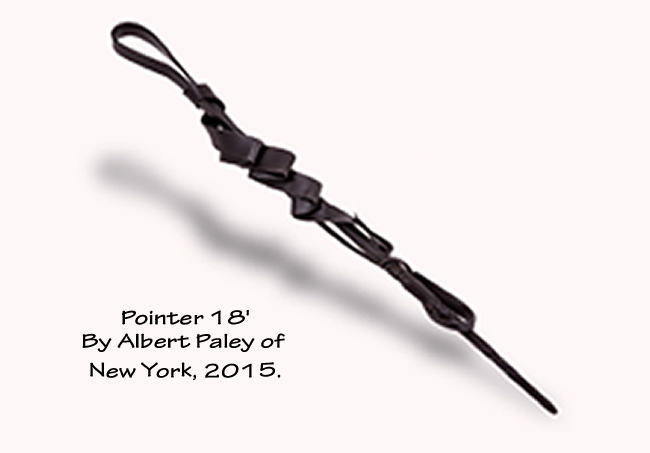 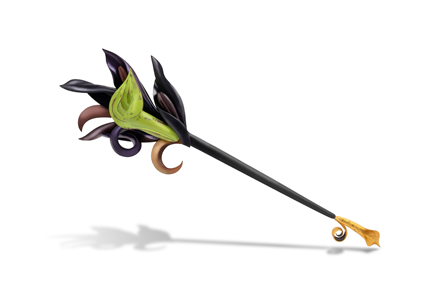 Pointer: (18') and stand. 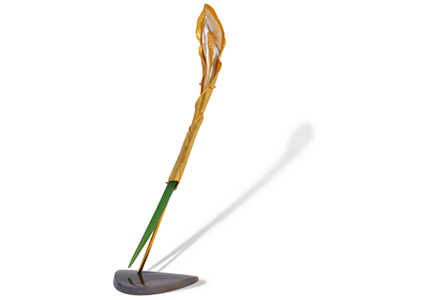 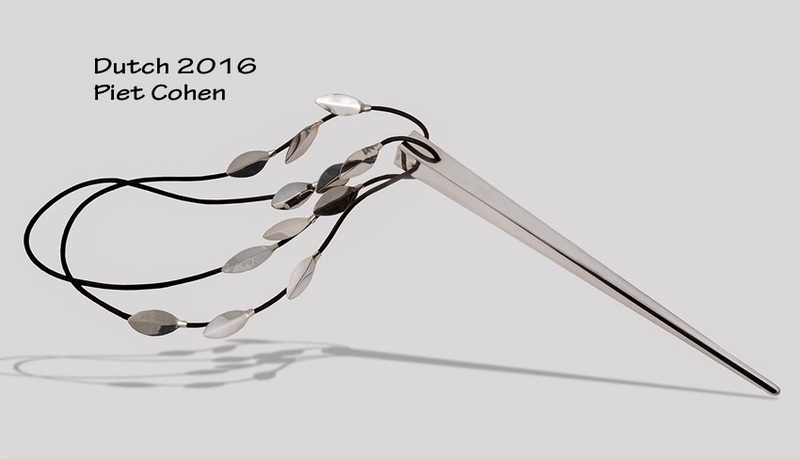 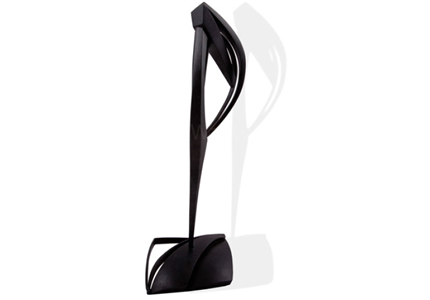 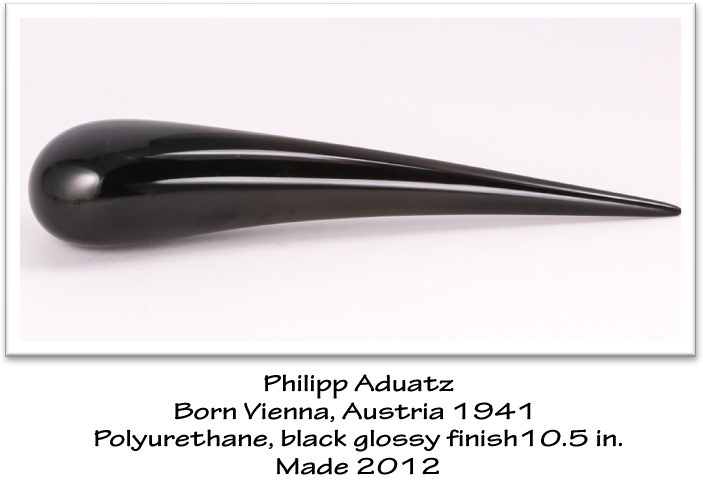 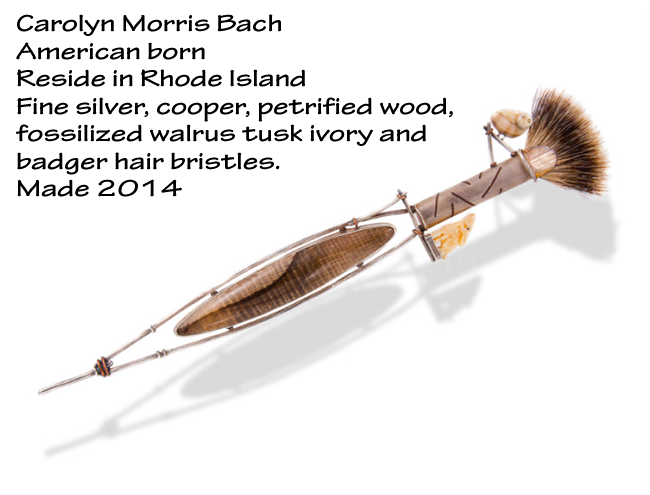 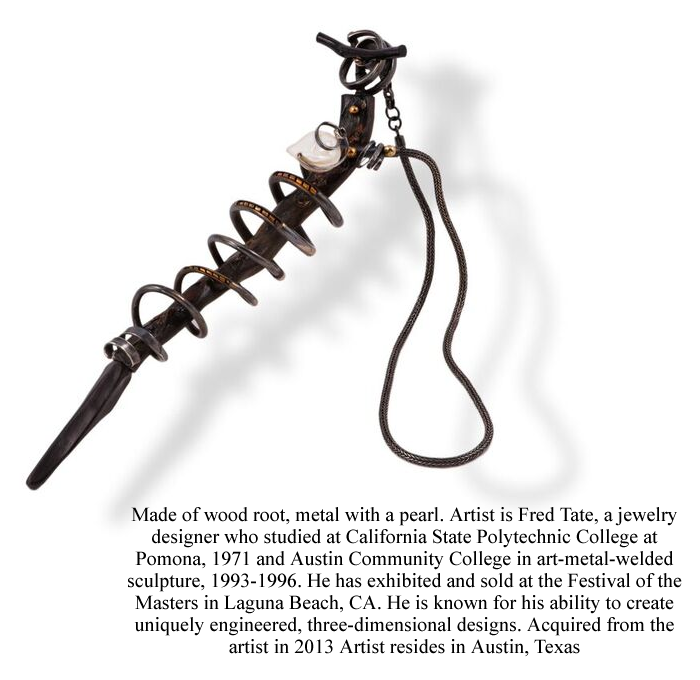 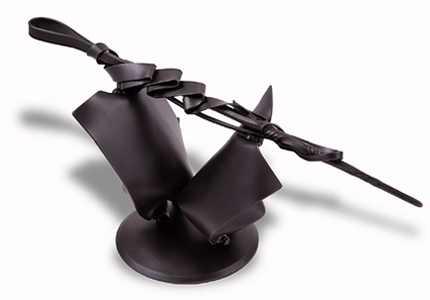 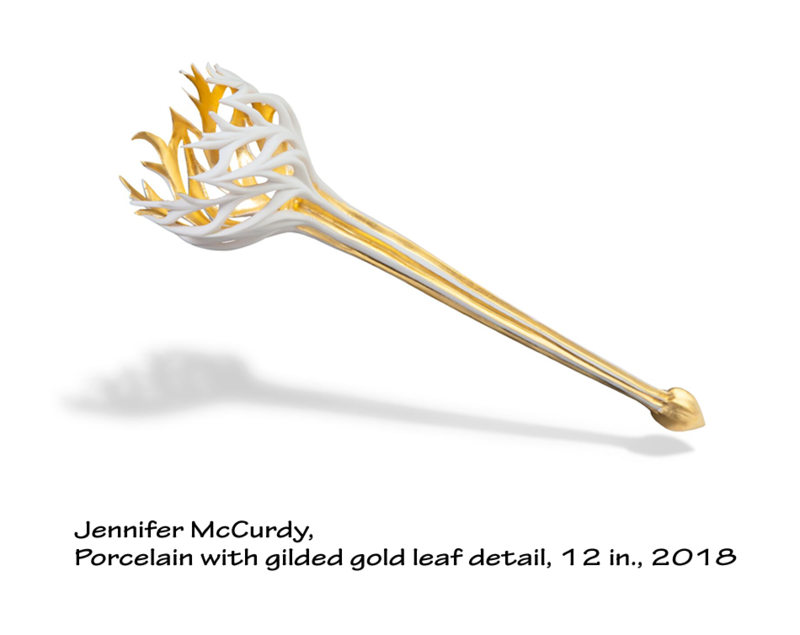 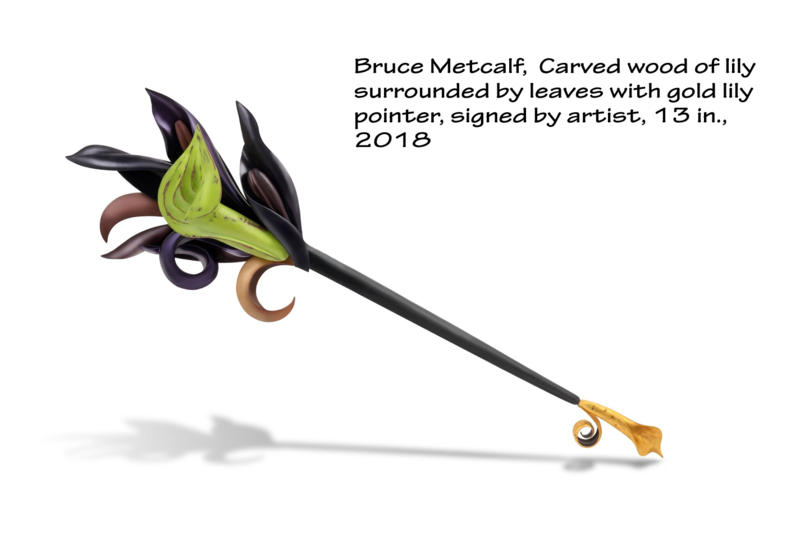 By Albert Paley of New York, 2015. 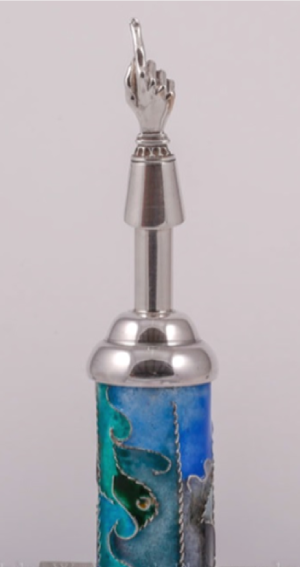 Silver with oval turquoise stone. 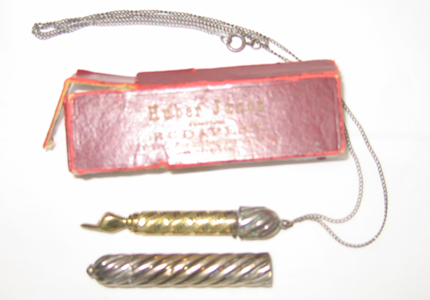 Makers in two places - on cuff and near top above stone. 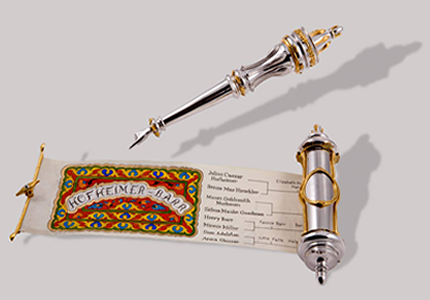 To mark the opening of this exhibition, we will hold a moving processional of over 50 Torah scrolls from tri-state-area synagogues to complement the first-ever New York gathering of scrolls from Czechoslovakia that survived the Holocaust, in partnership with Memorial Scrolls Trust of London. 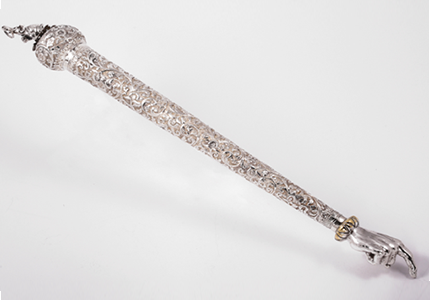 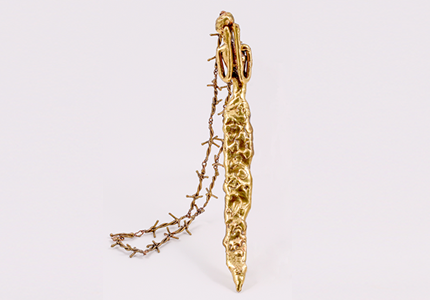 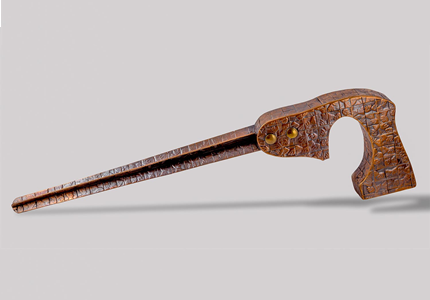 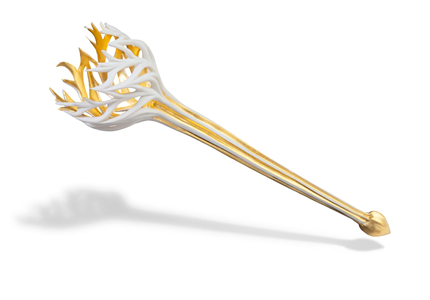 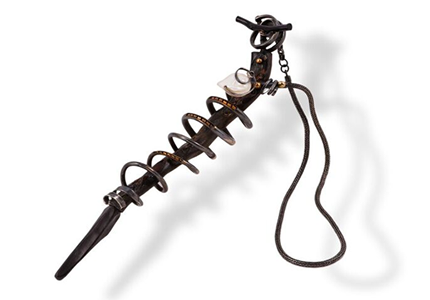 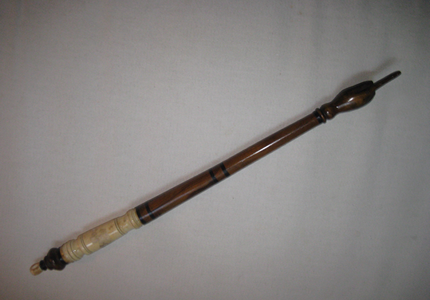 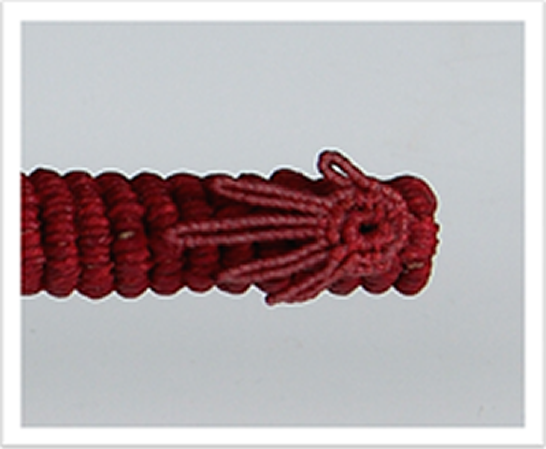 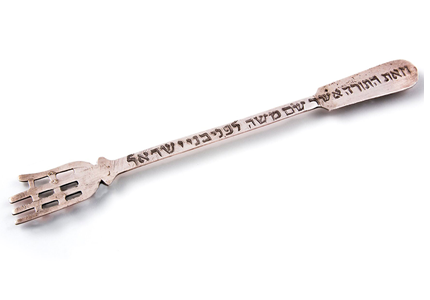 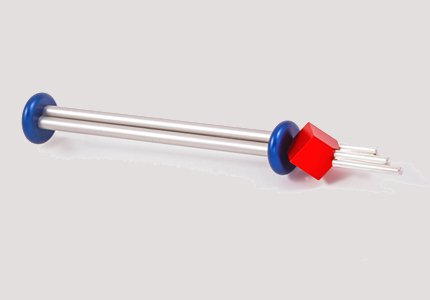 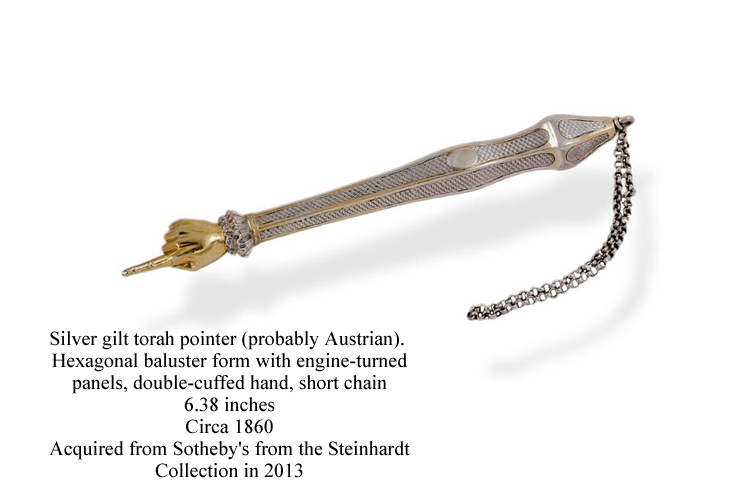 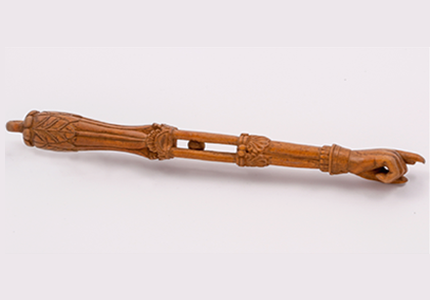 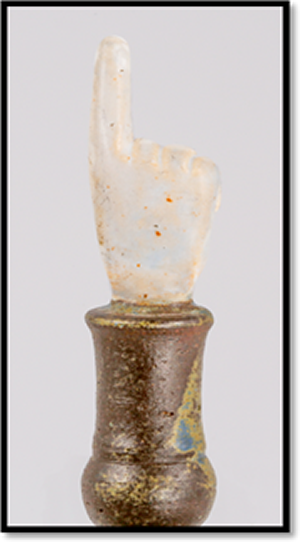 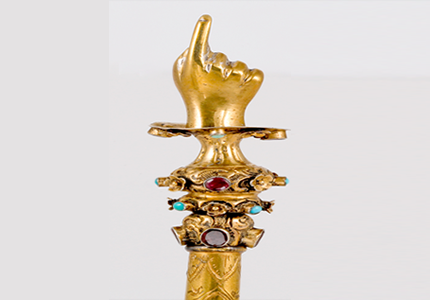 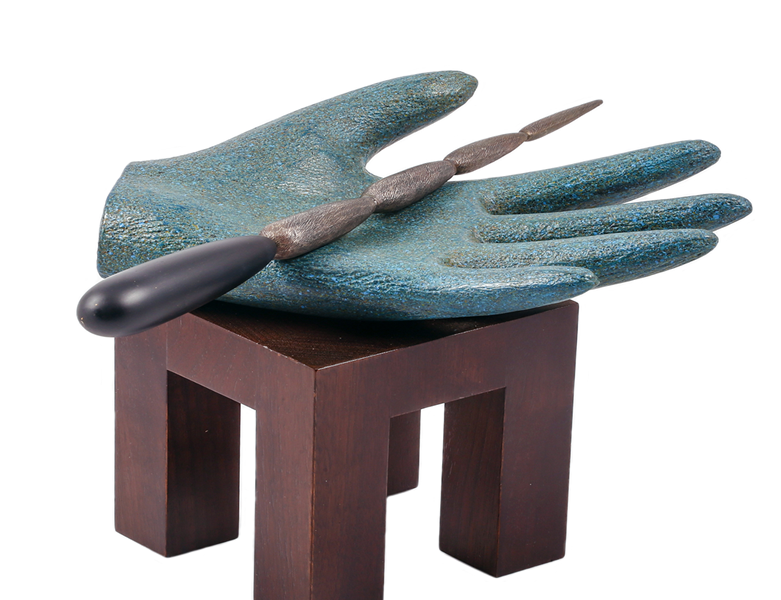 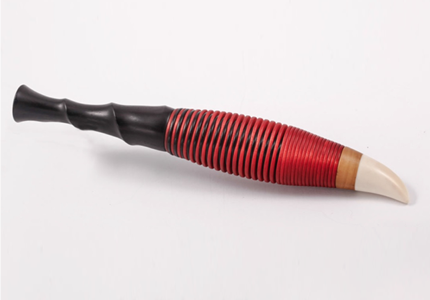 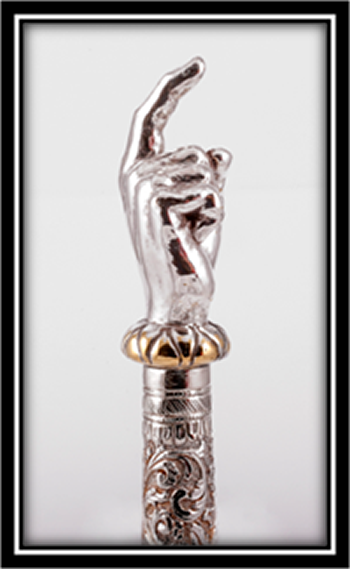 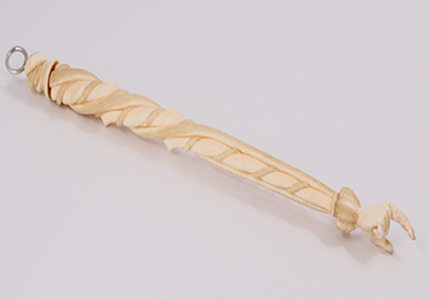 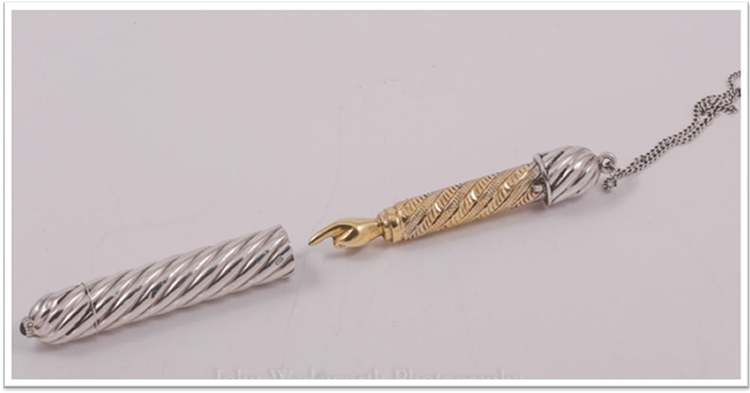 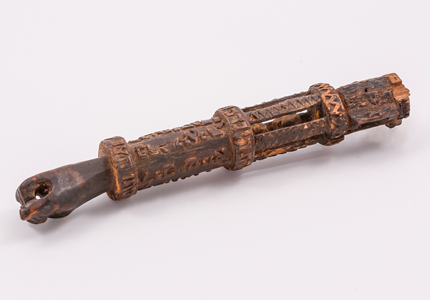 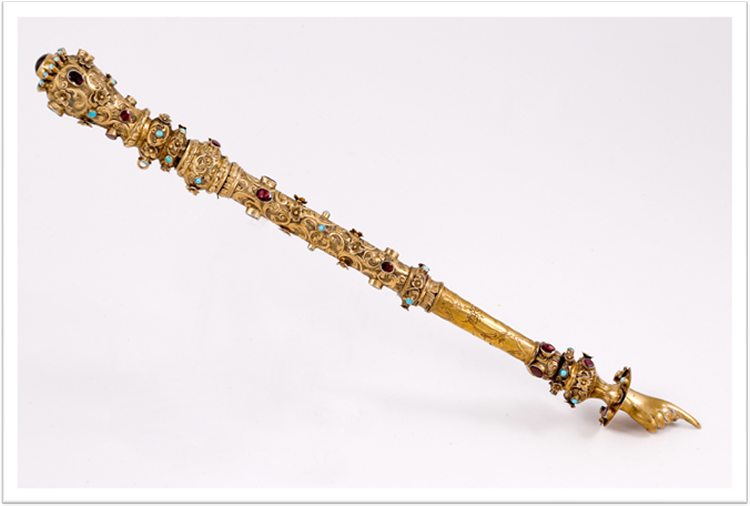 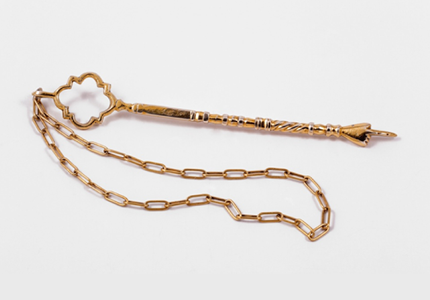 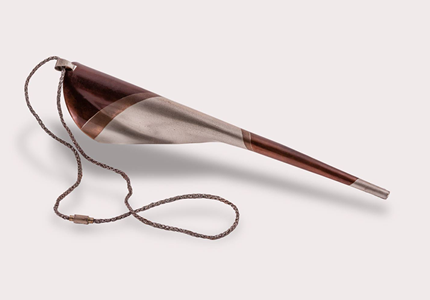 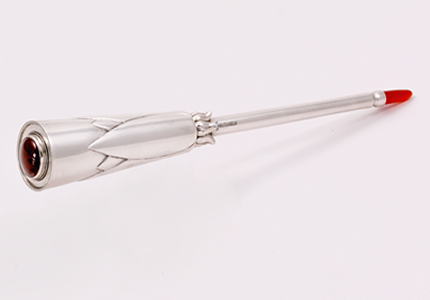 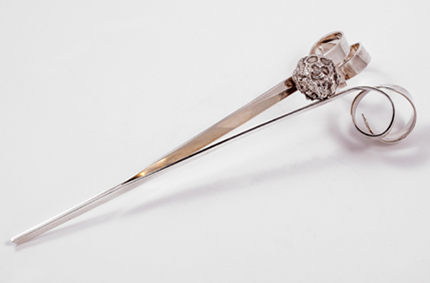 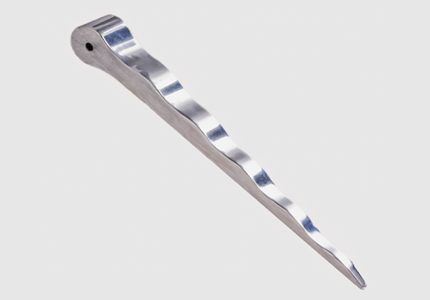 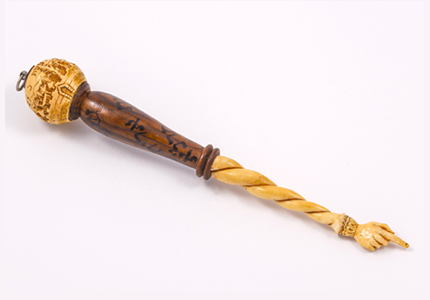 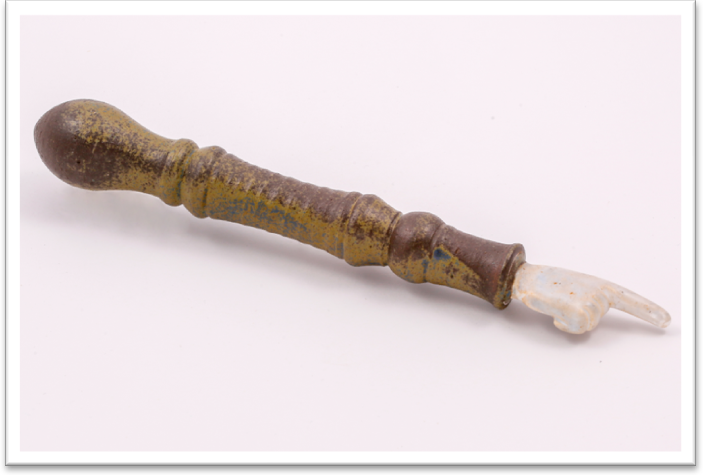 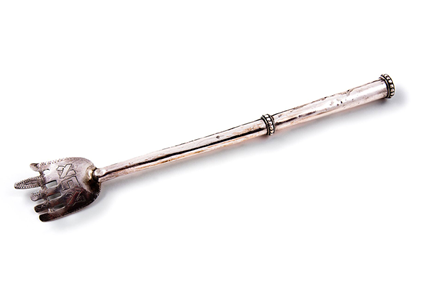 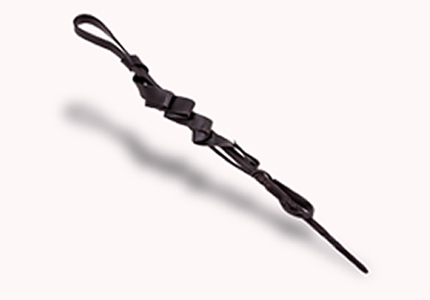 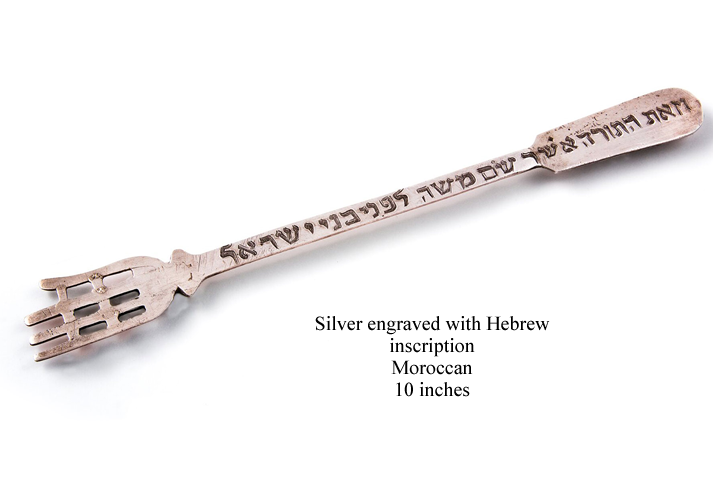 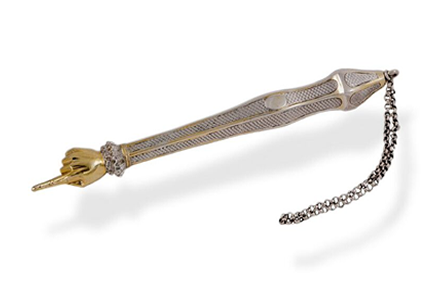 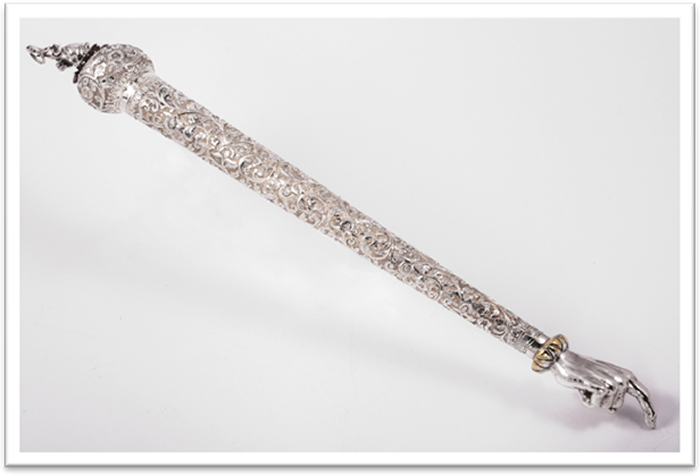 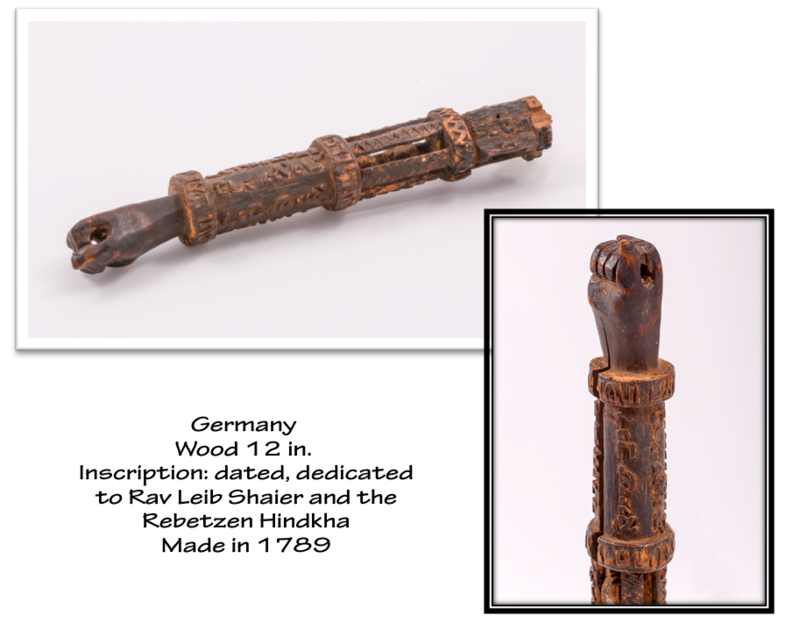 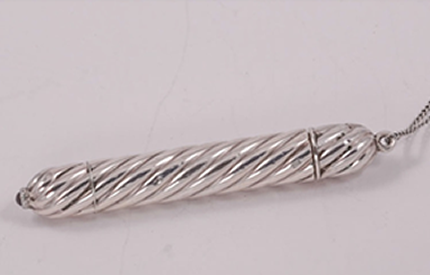 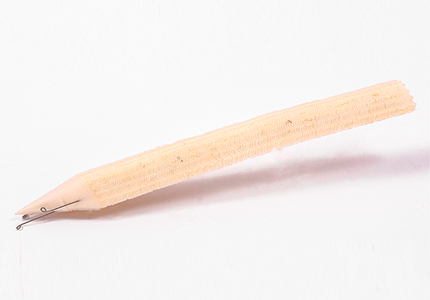 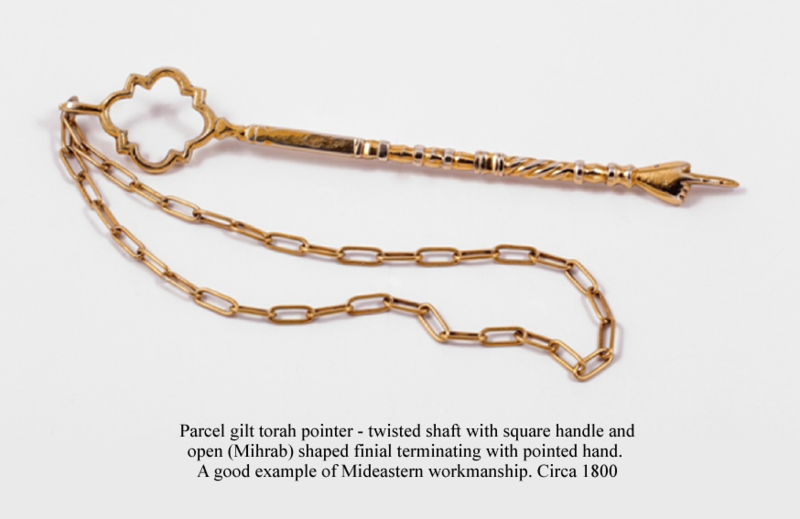 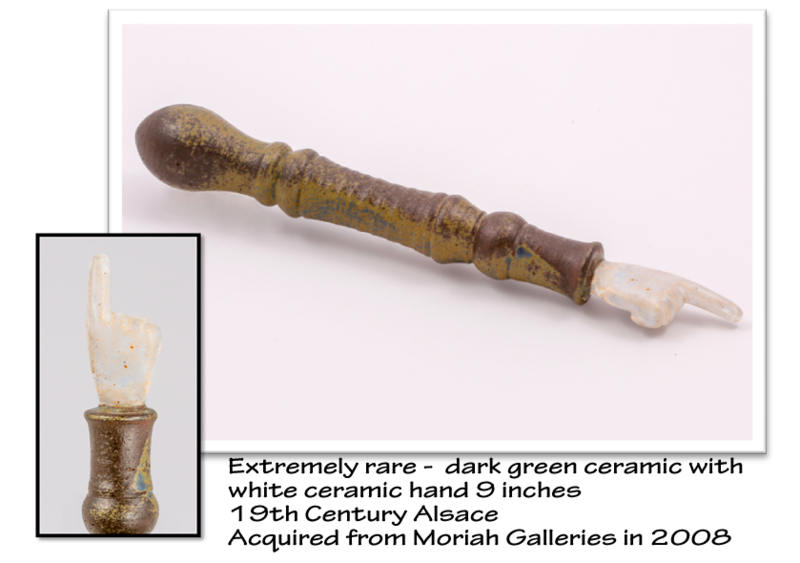 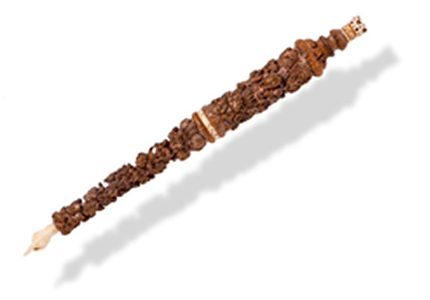 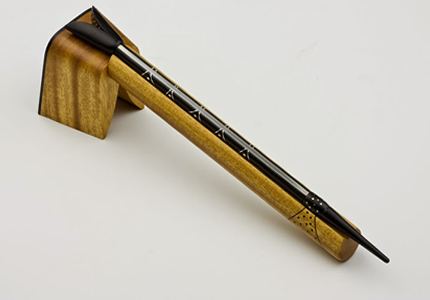 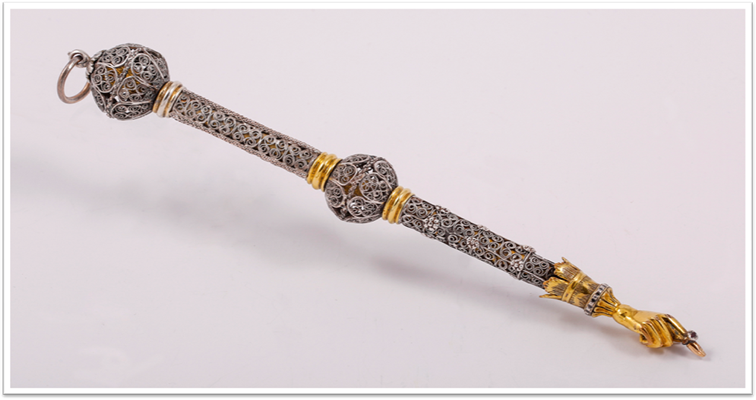 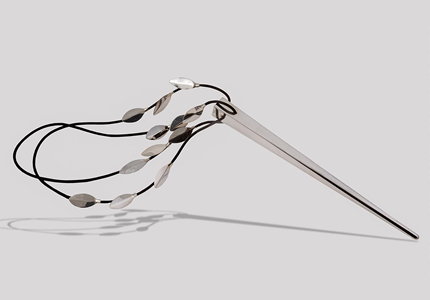 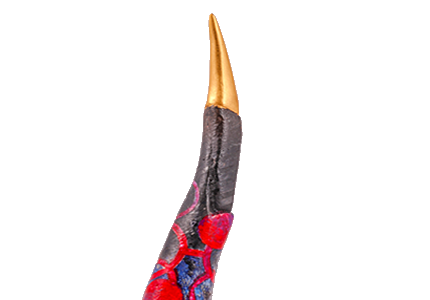 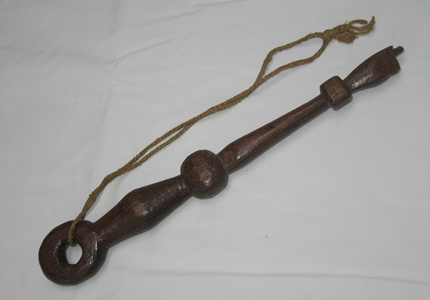 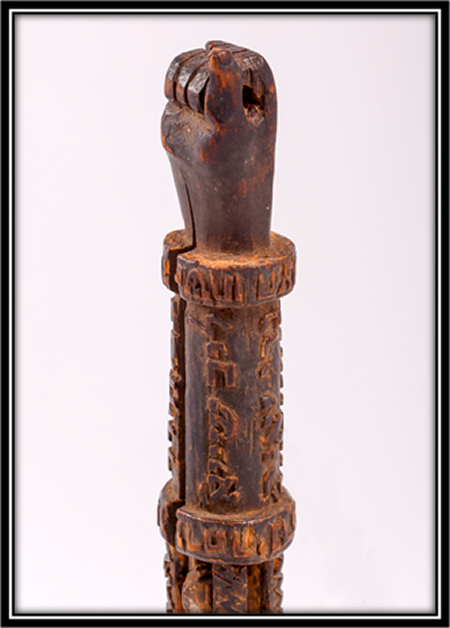 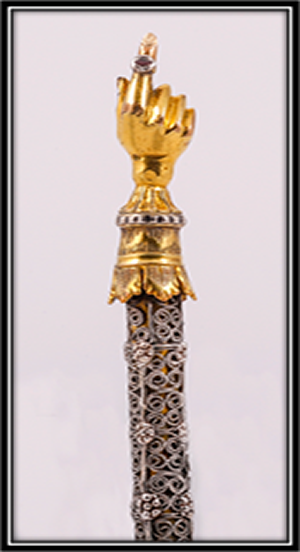 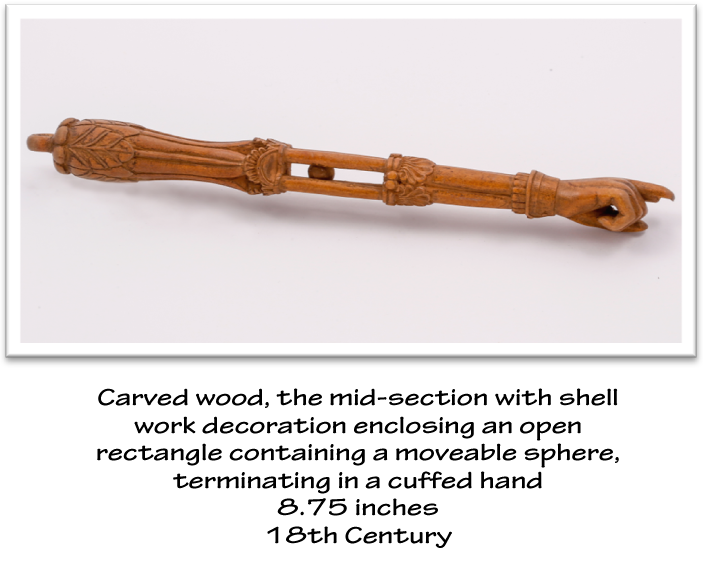 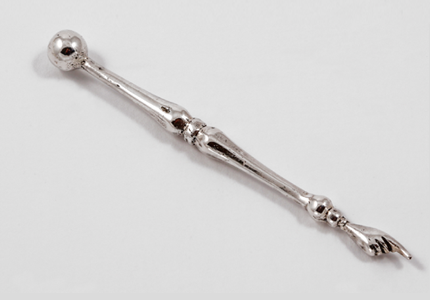 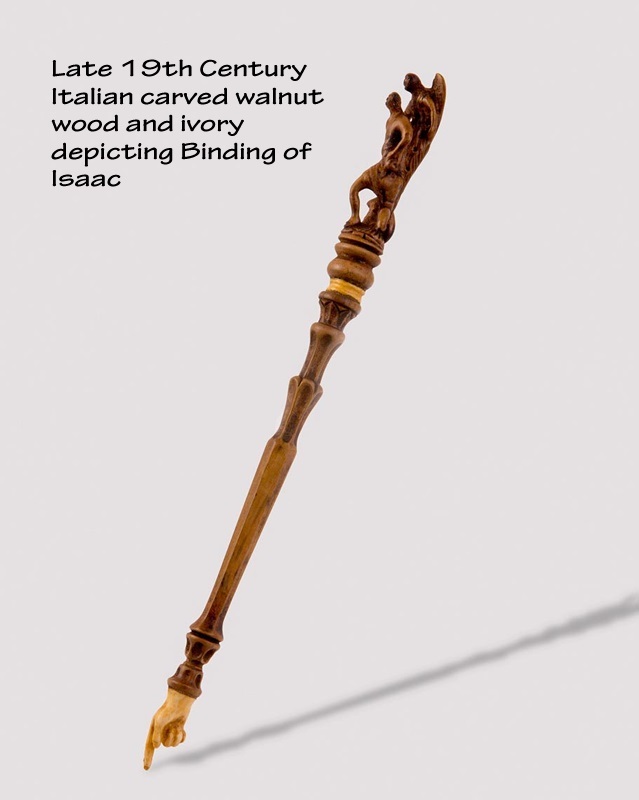 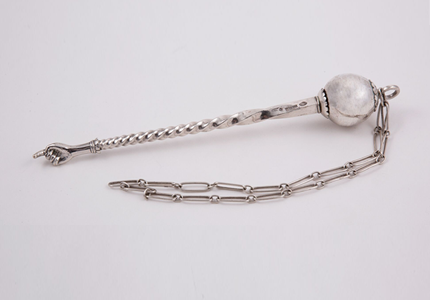 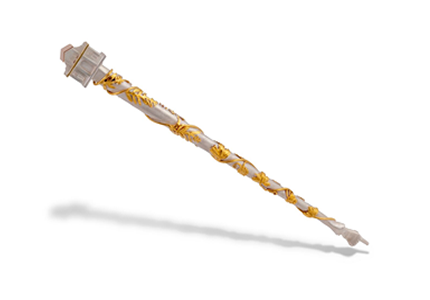 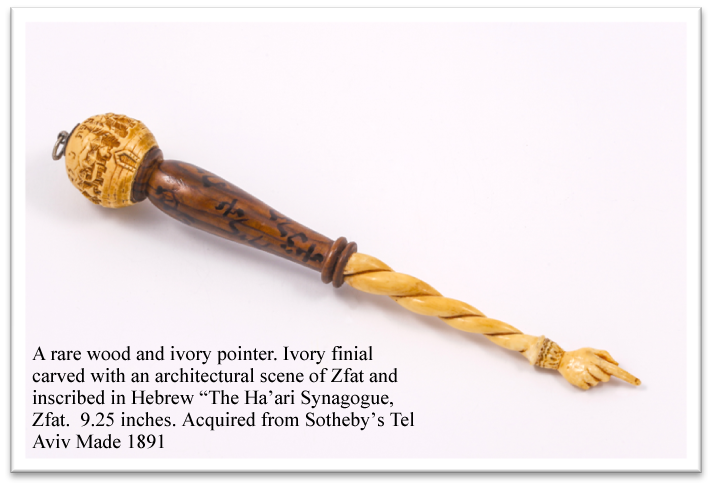 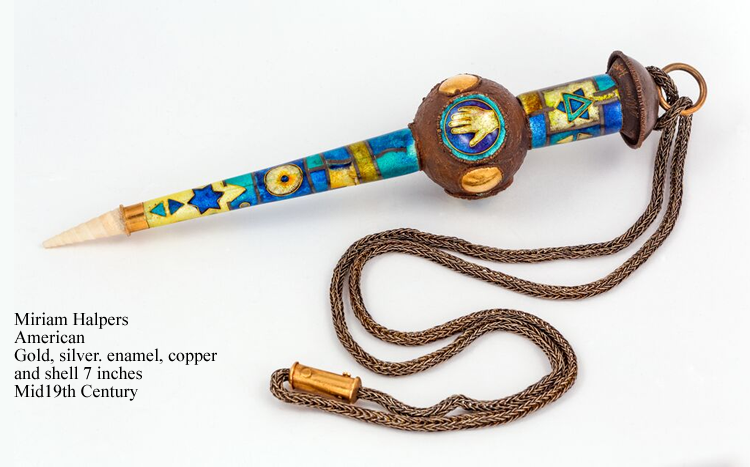 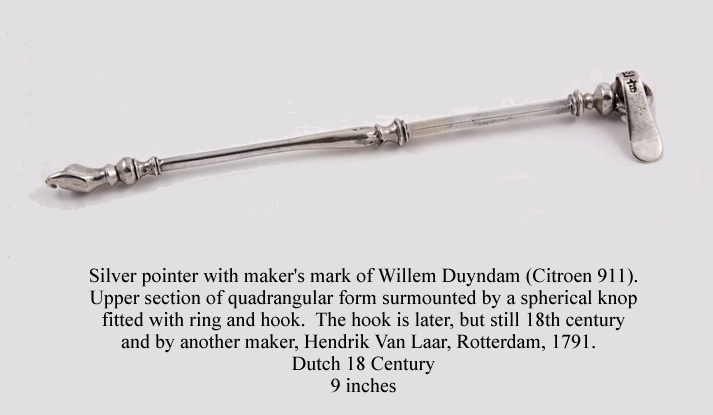 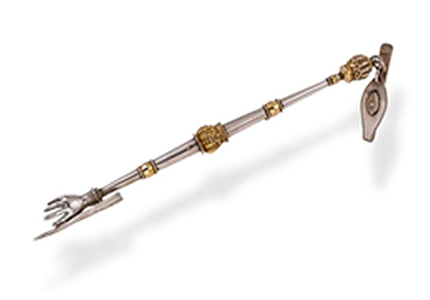 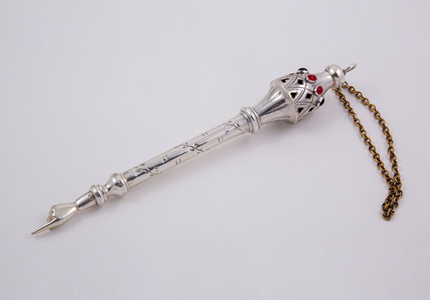 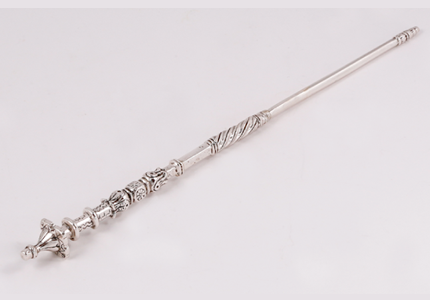 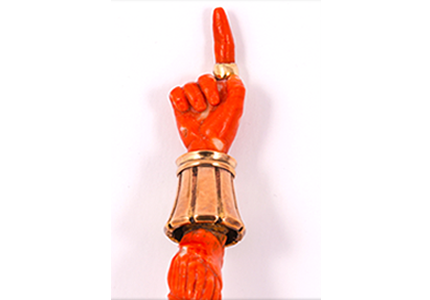 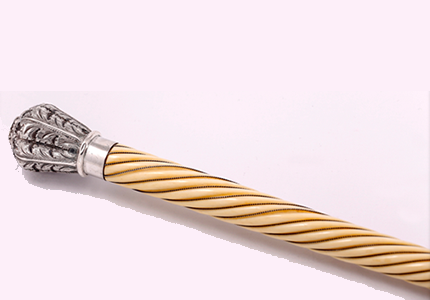 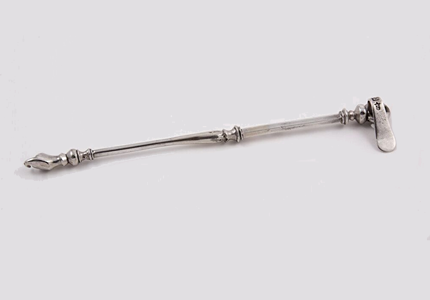 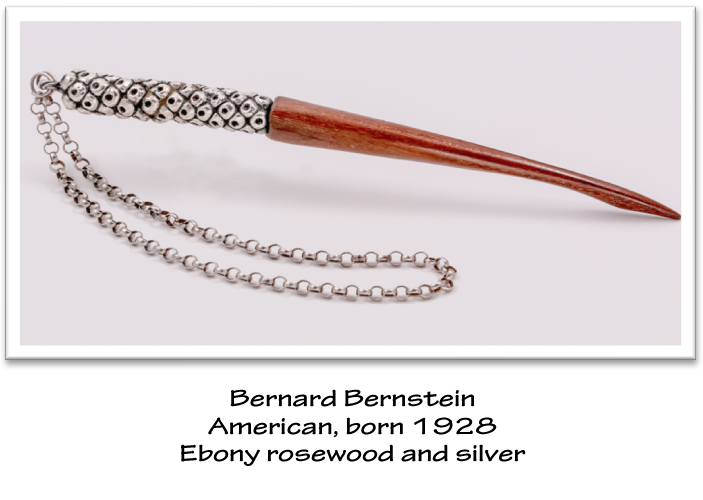 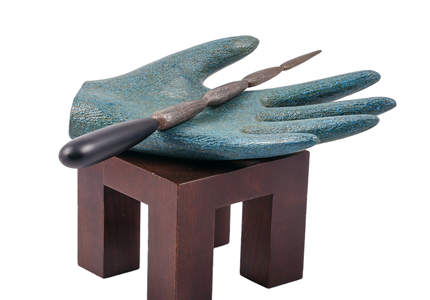 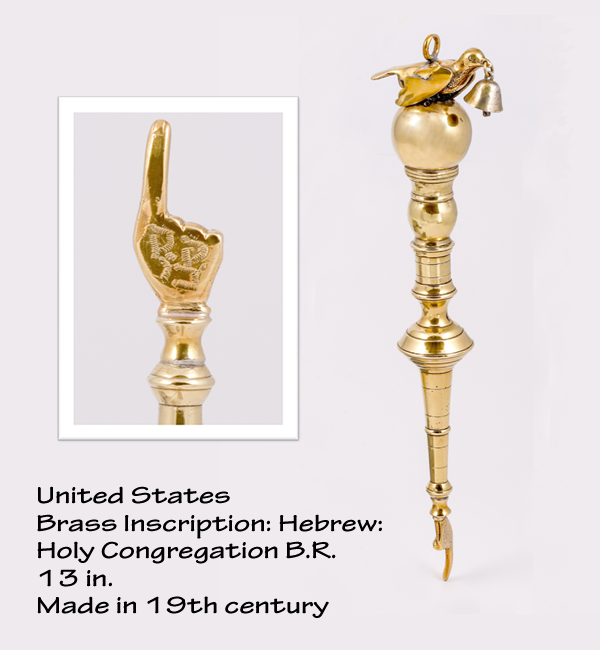 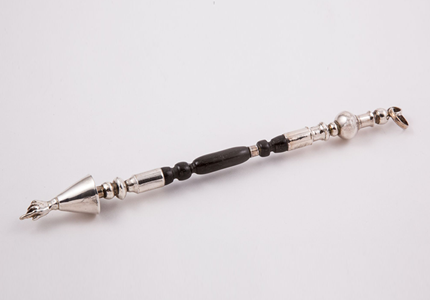 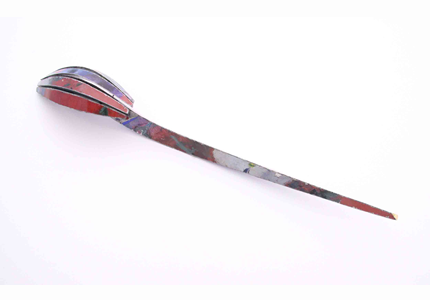 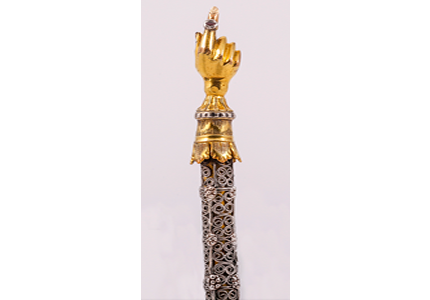 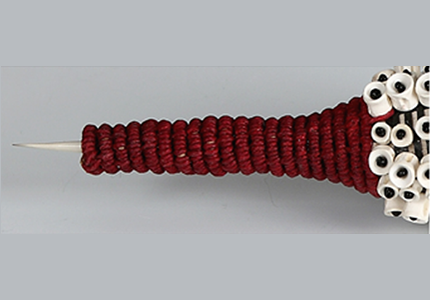 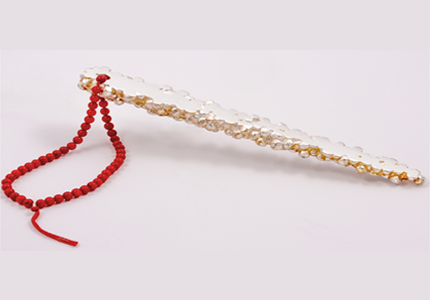 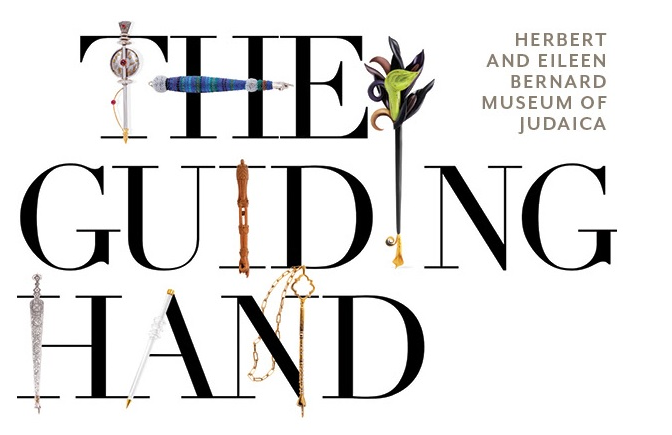 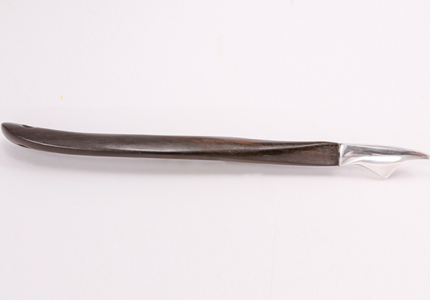 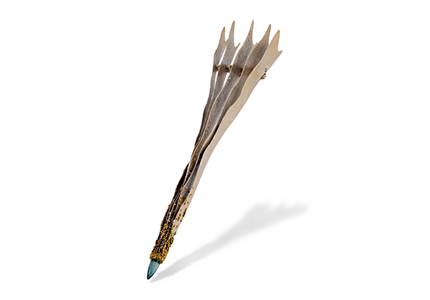 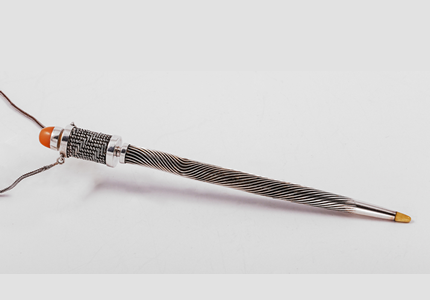 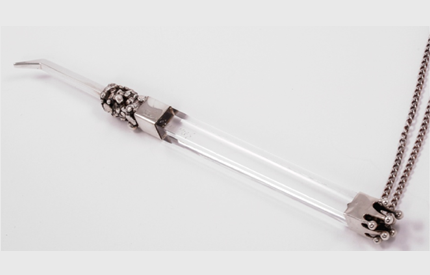 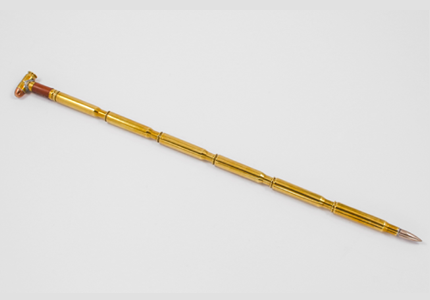 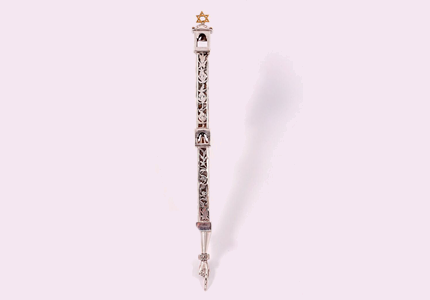 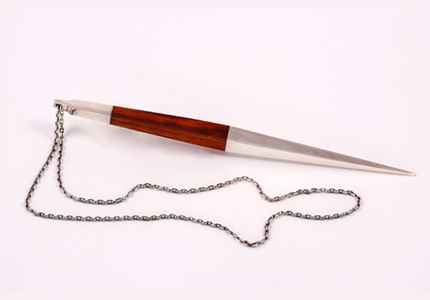 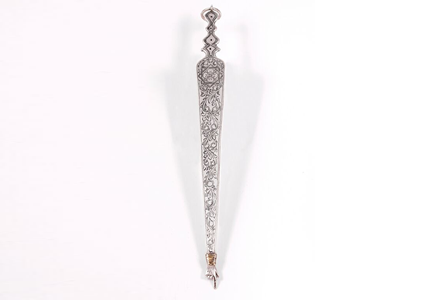 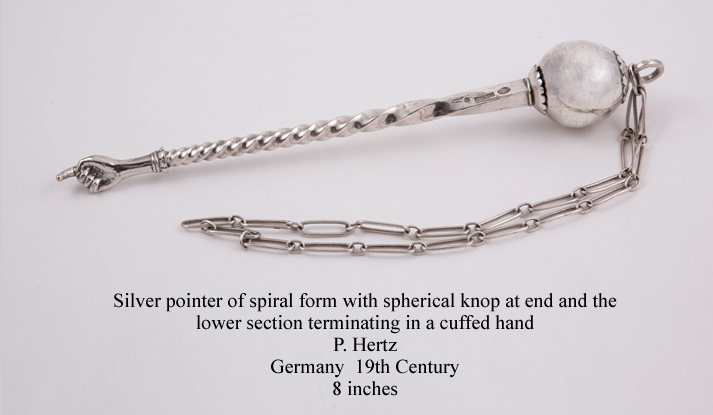 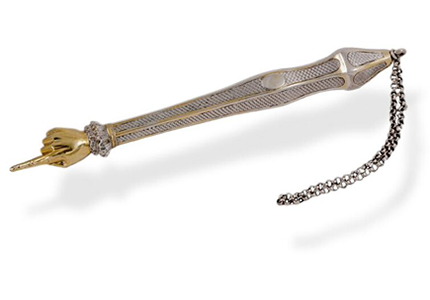 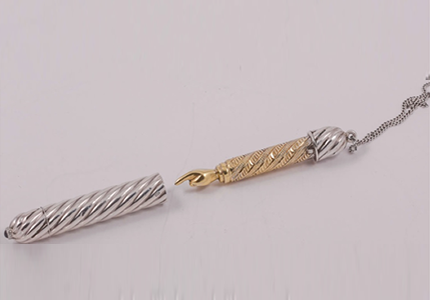 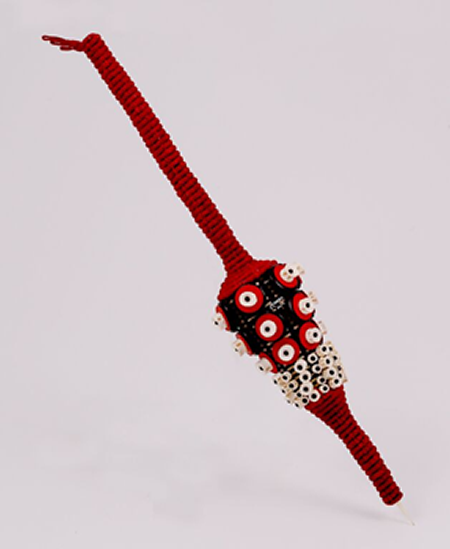 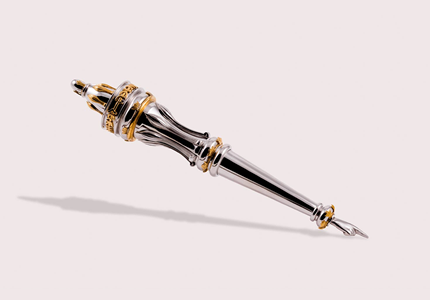 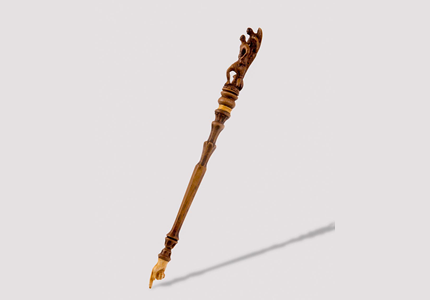 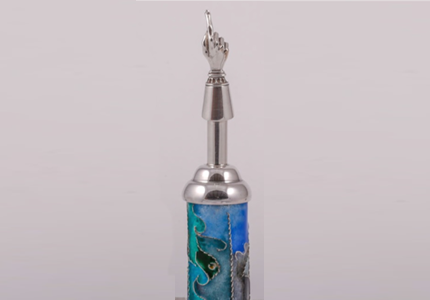 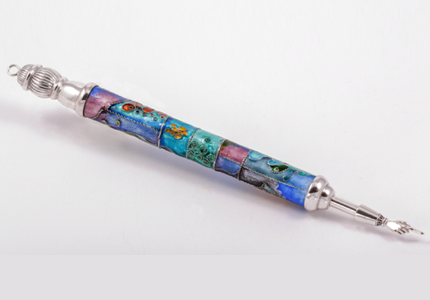 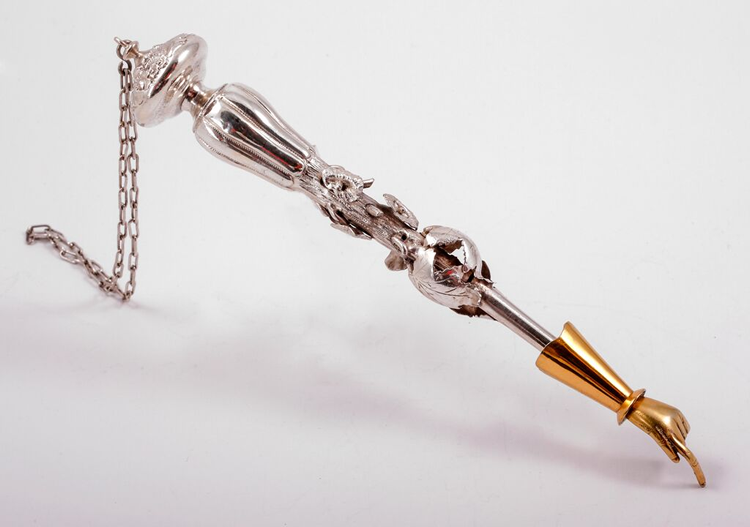 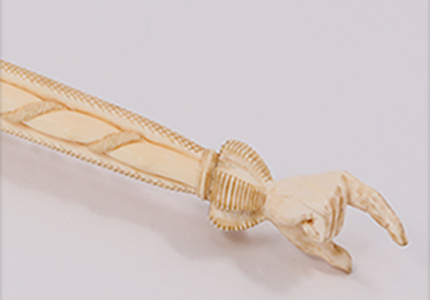 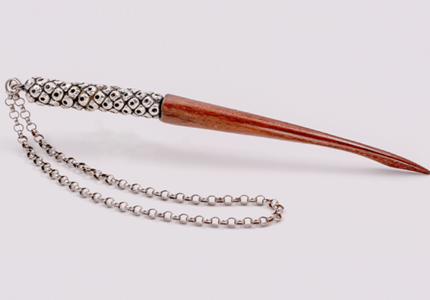 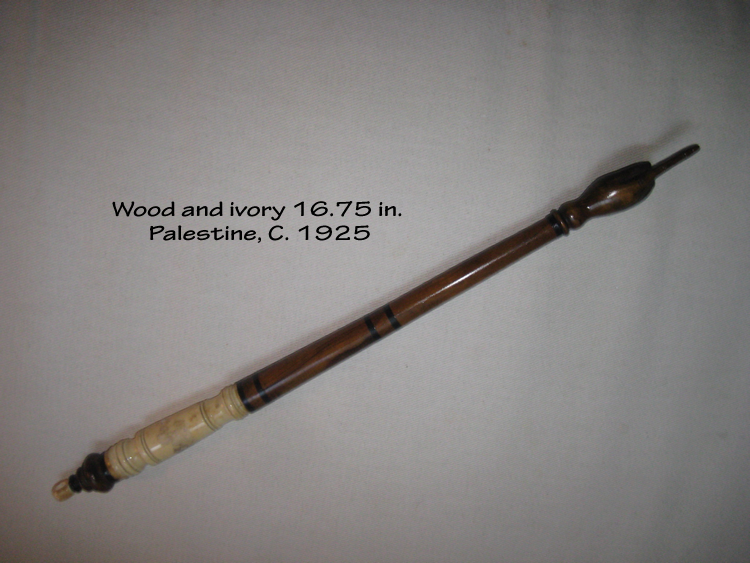 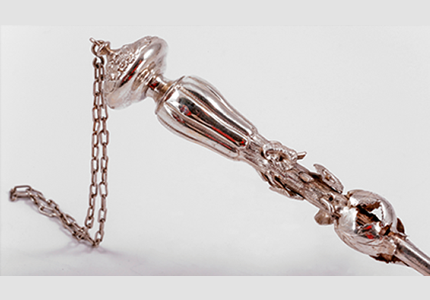 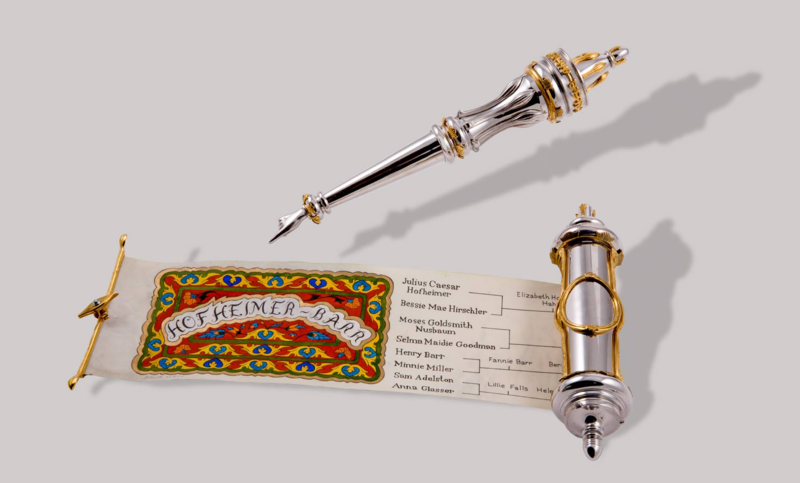 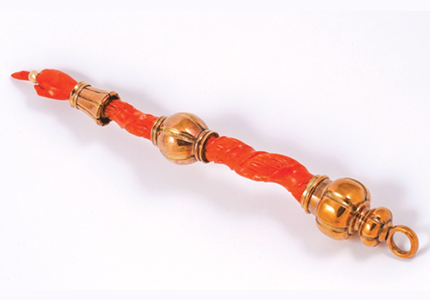 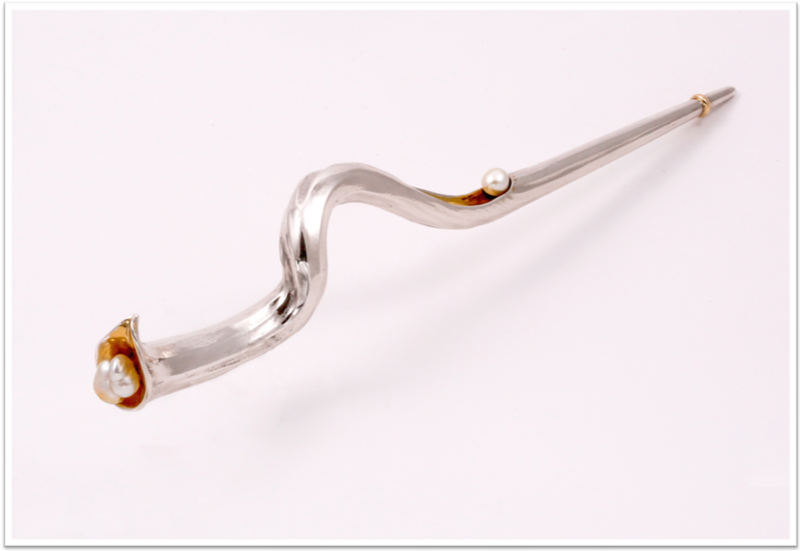 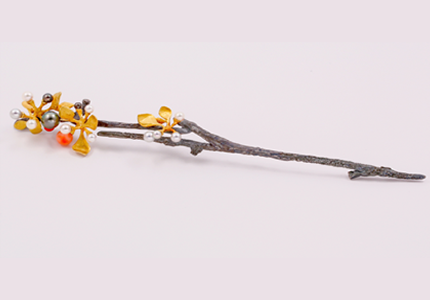 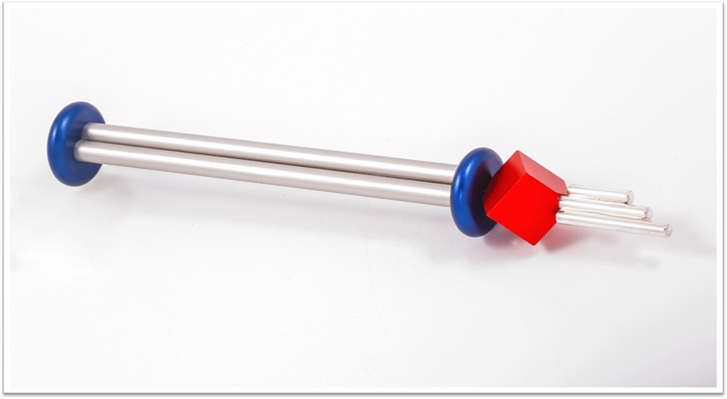 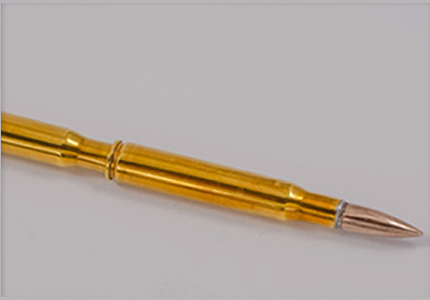 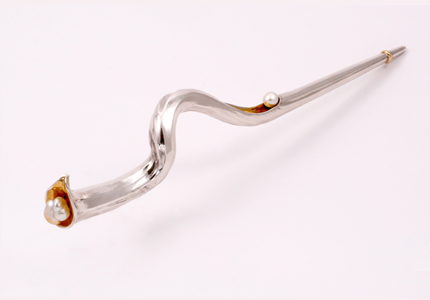 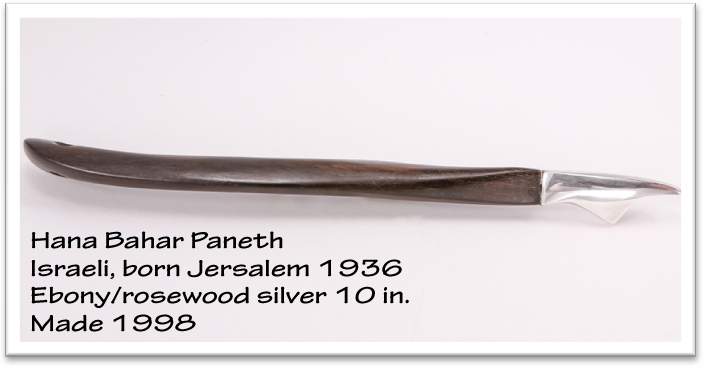 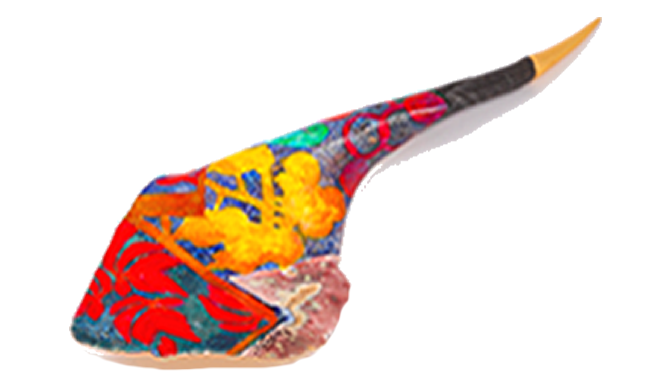 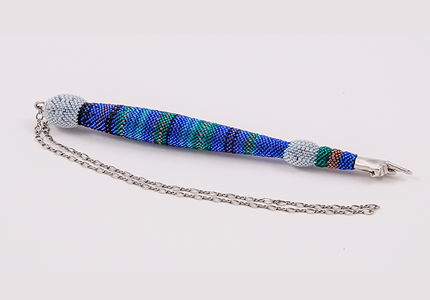 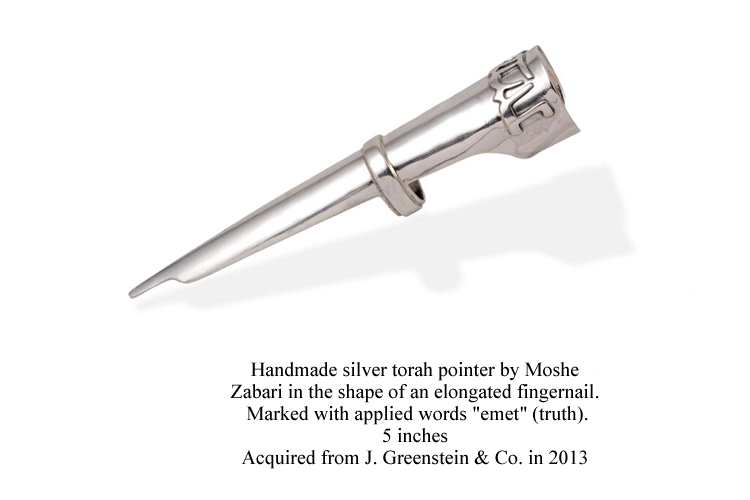 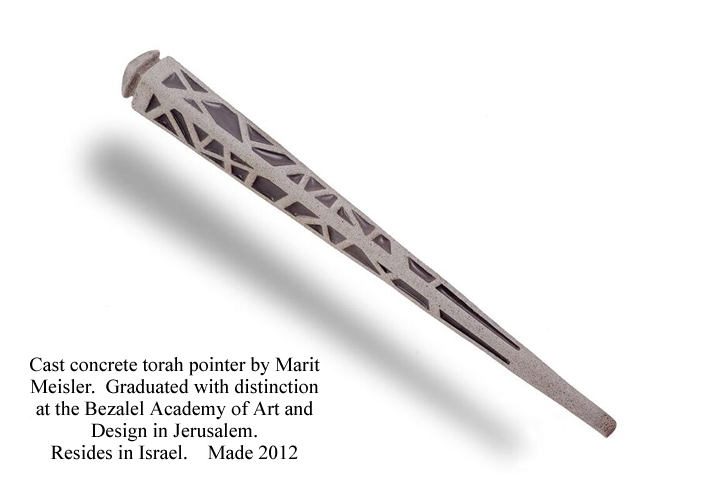 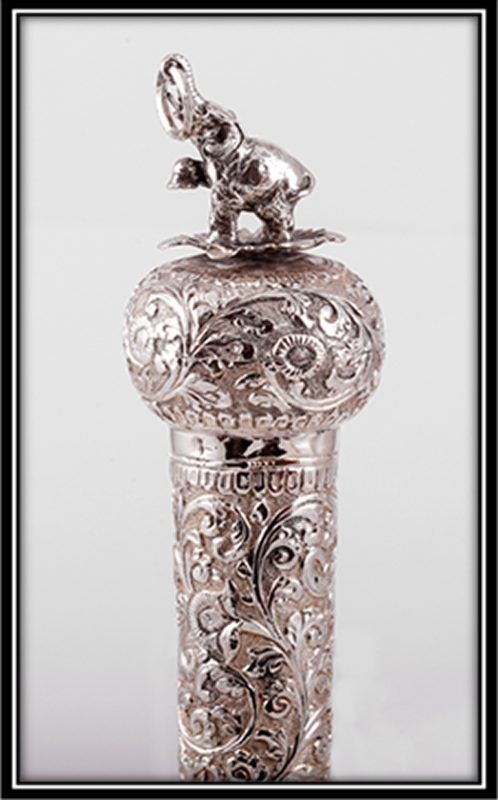 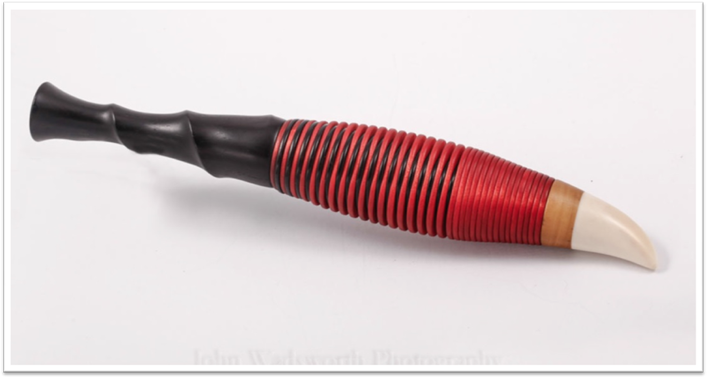 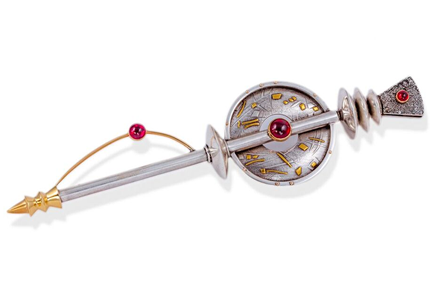 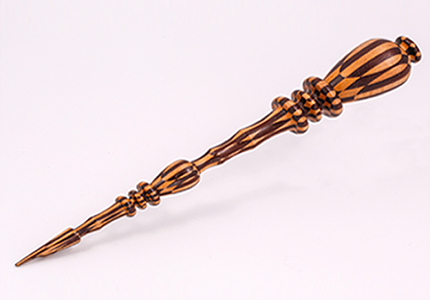 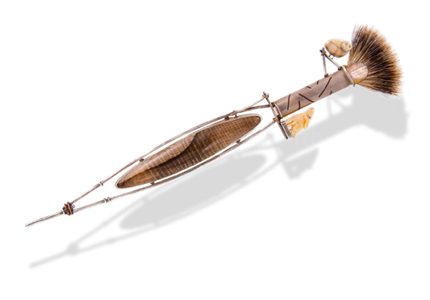 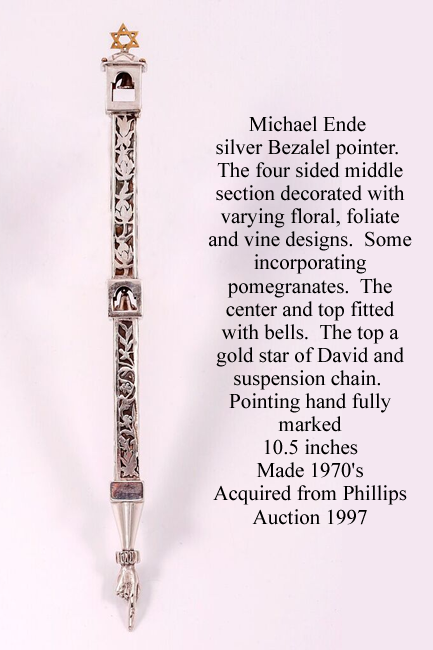 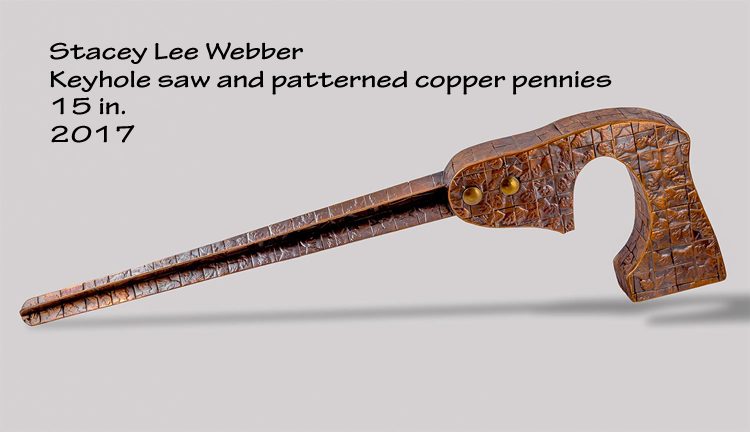 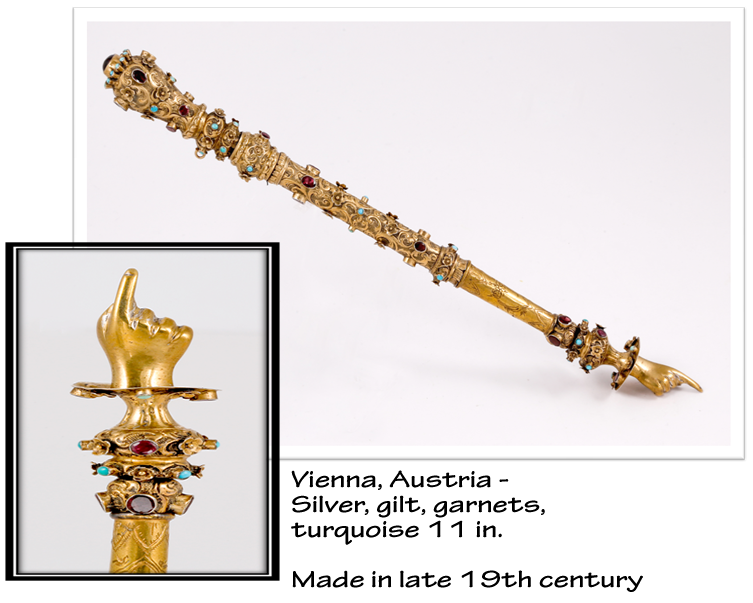 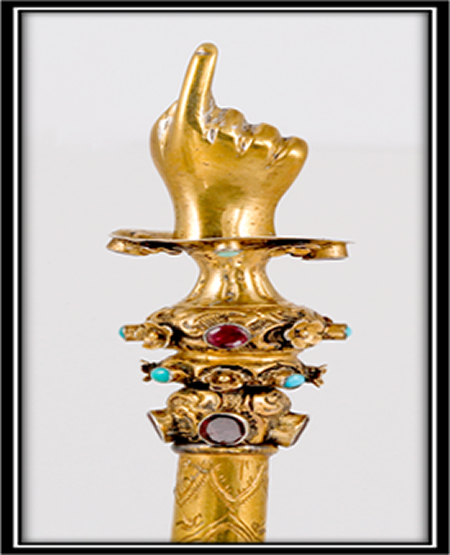 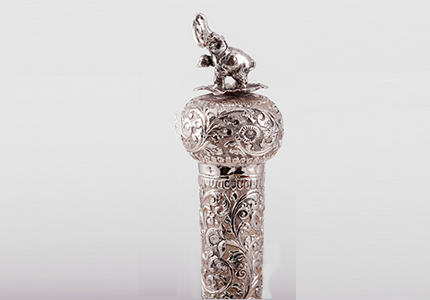 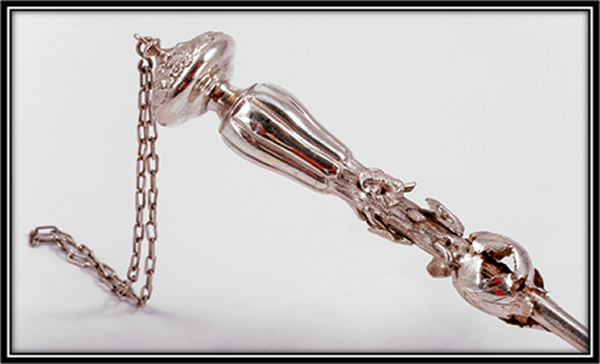 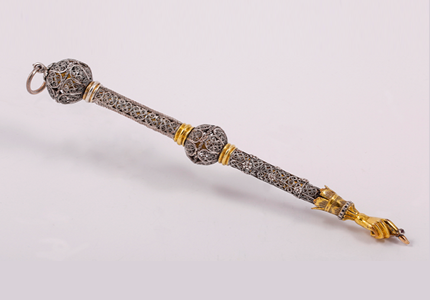 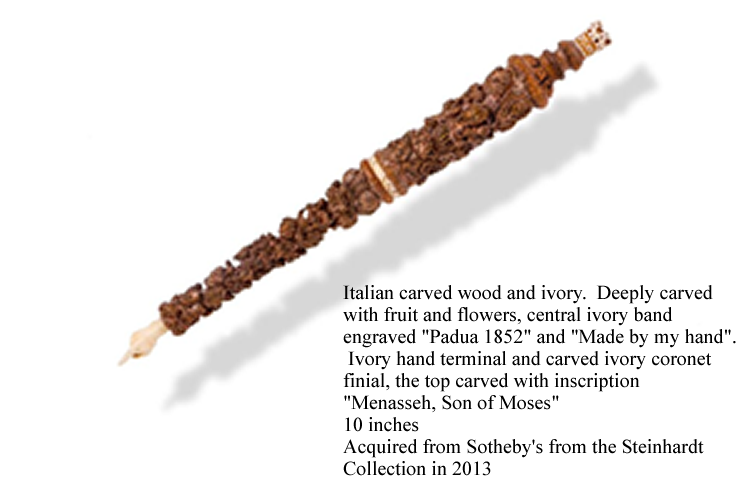 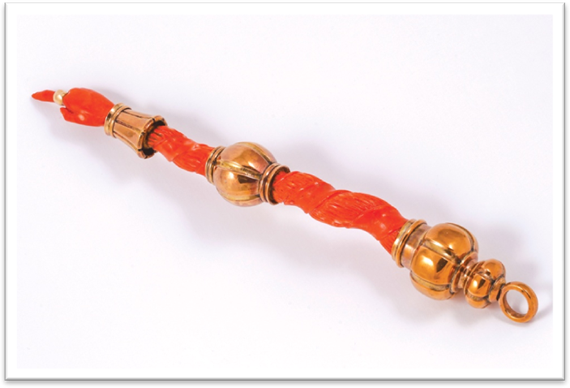 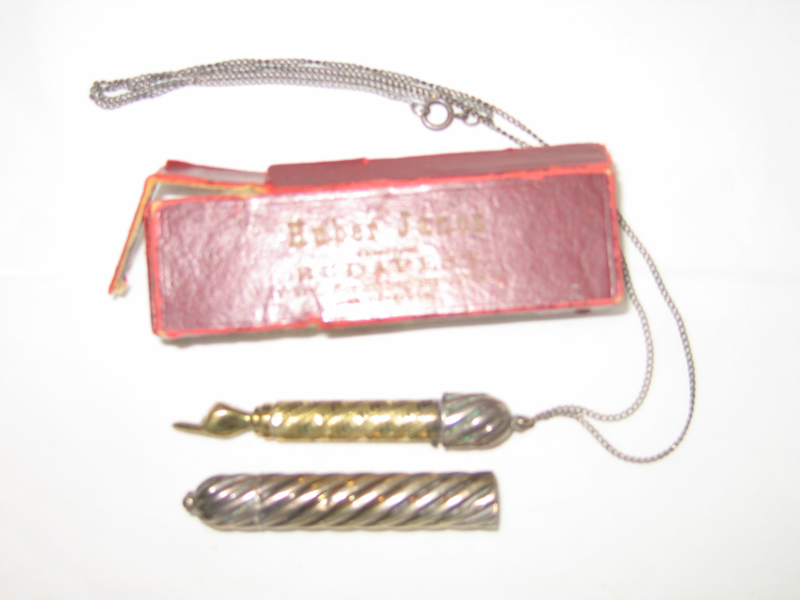 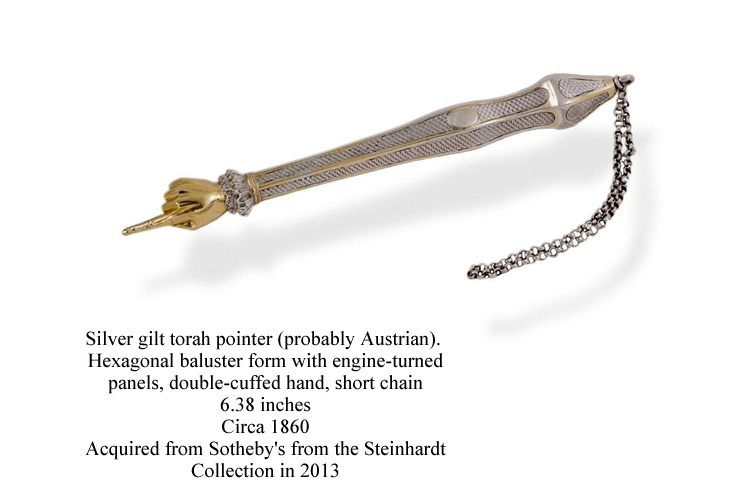 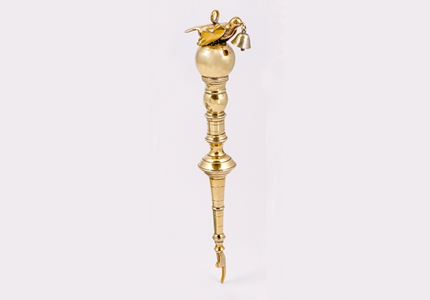 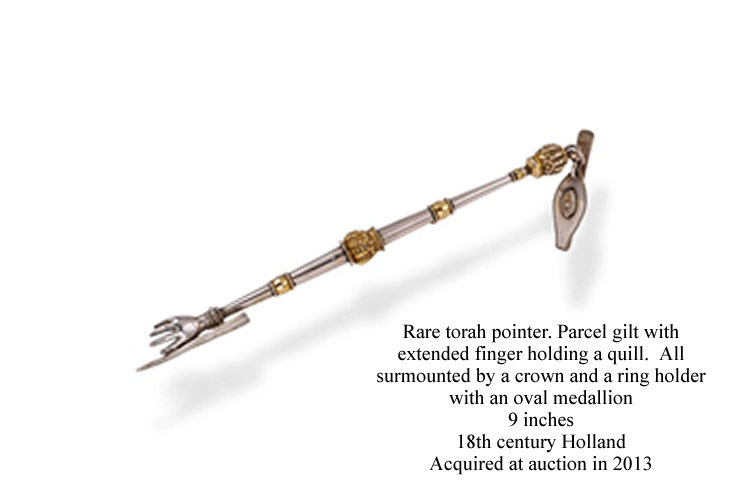 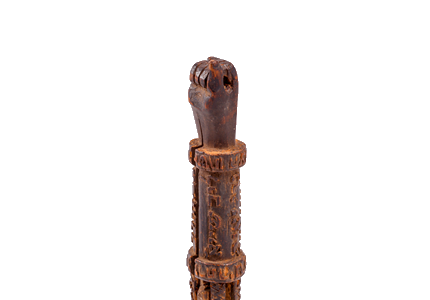 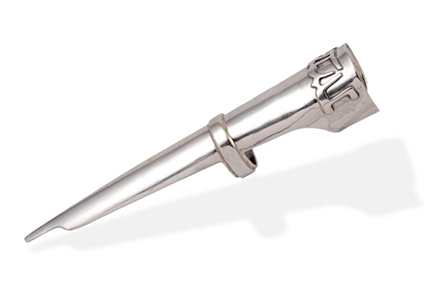 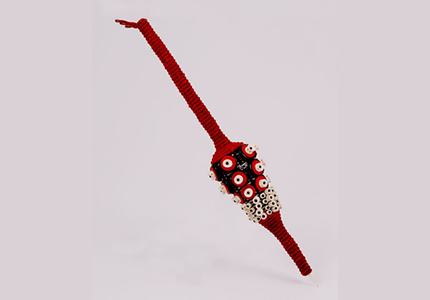 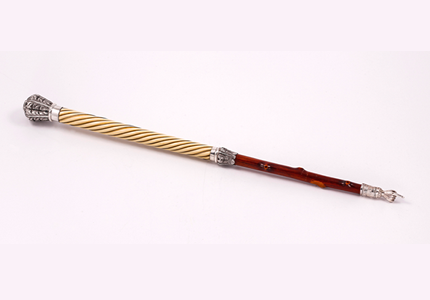 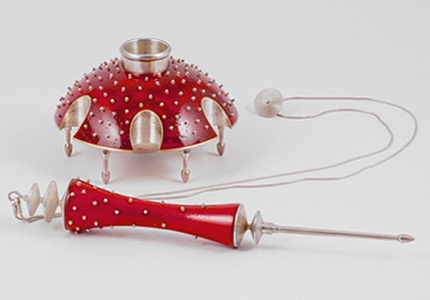 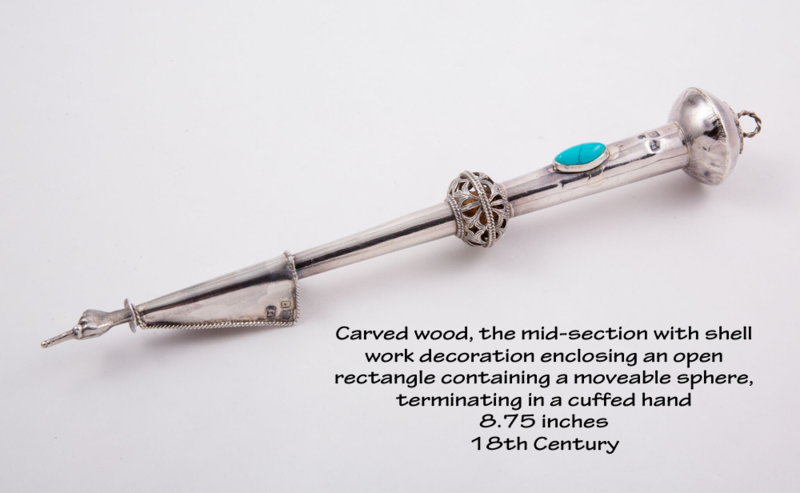 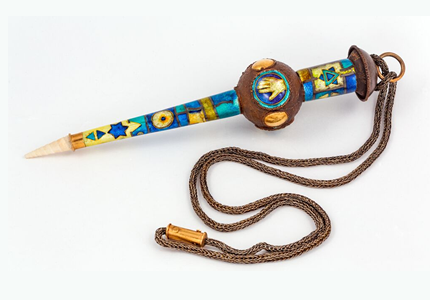 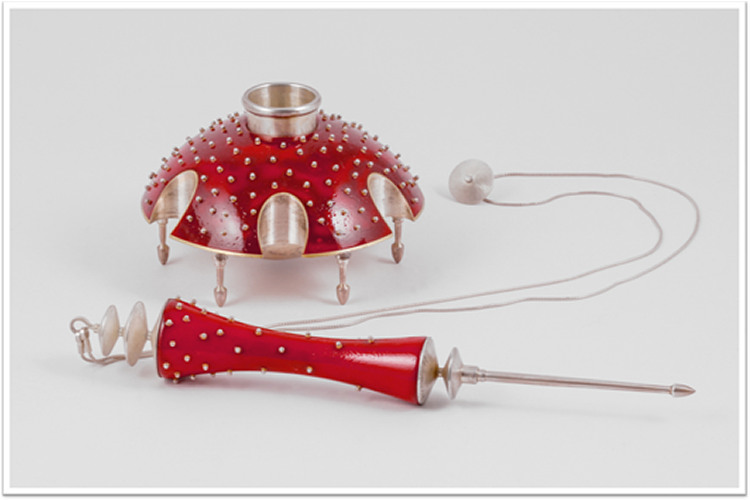 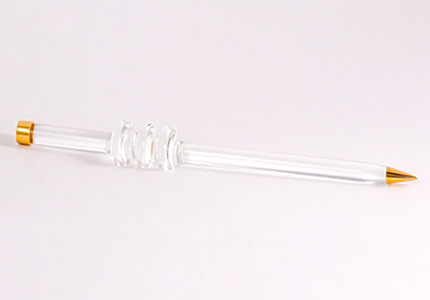 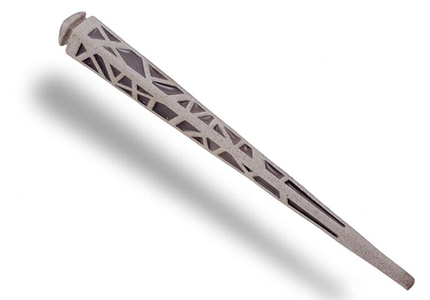 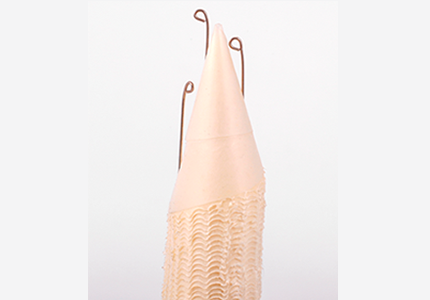 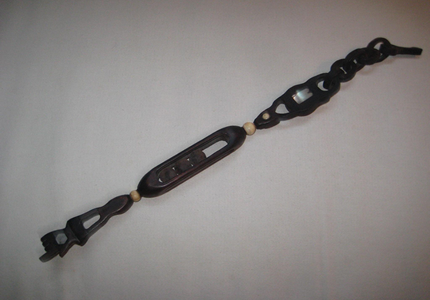 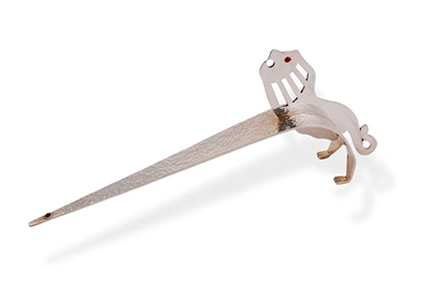 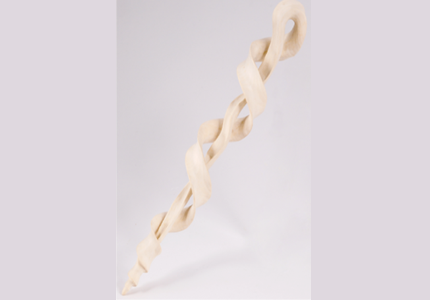 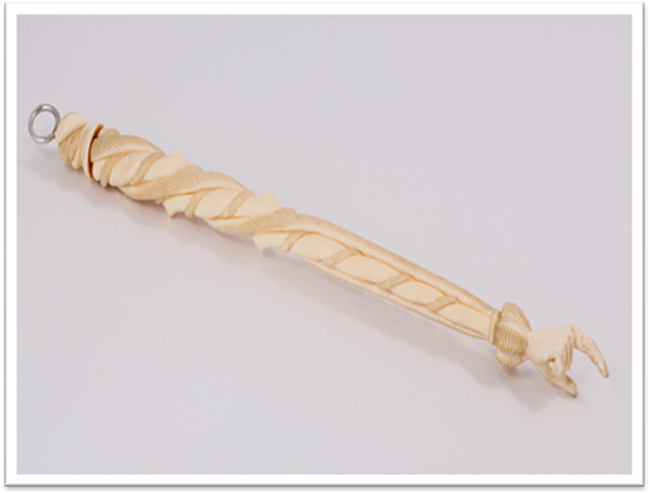 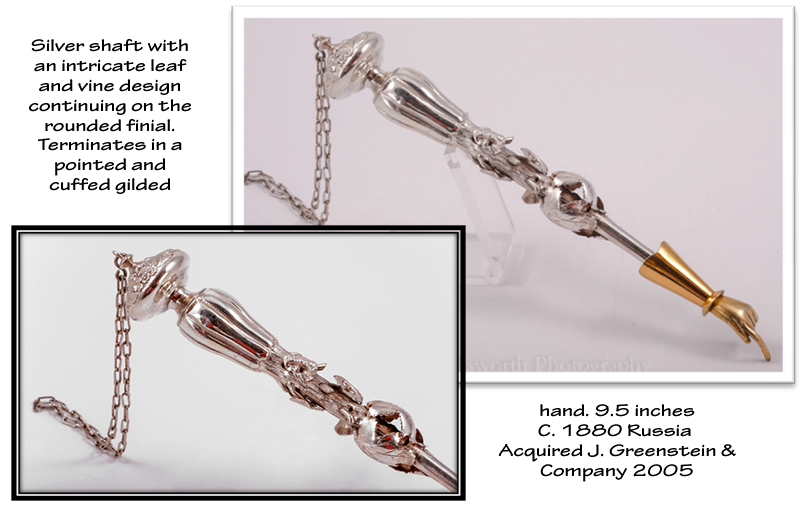 The Barr Foundation Judaica, has assembled a remarkable collection of antique and contemporary torah pointers, known by the Hebrew word for "hand", yad. 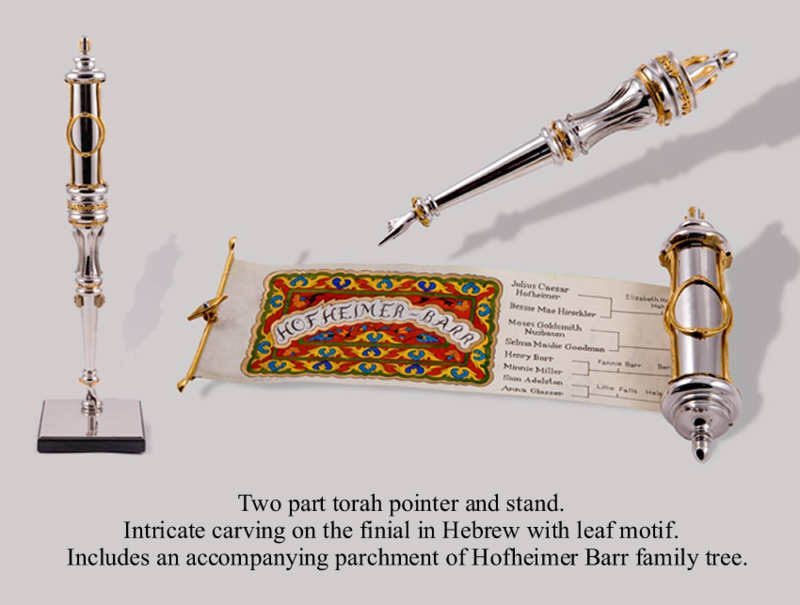 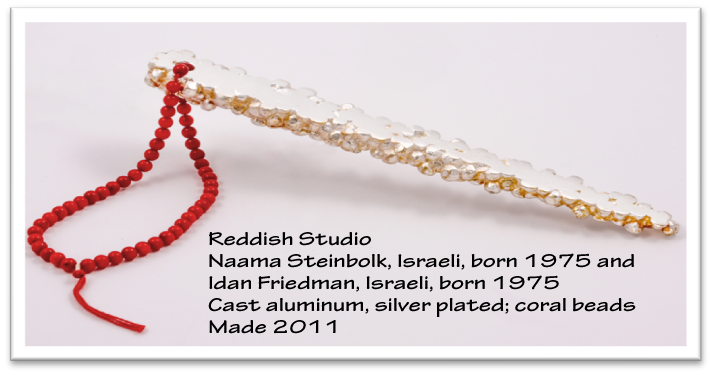 Created by artists from different ages and cultures and of diverse materials including wood, precious metals, jewels, ceramics and paper, these yads chronical the timeless, universal aesthetic guide in reading the Torah. 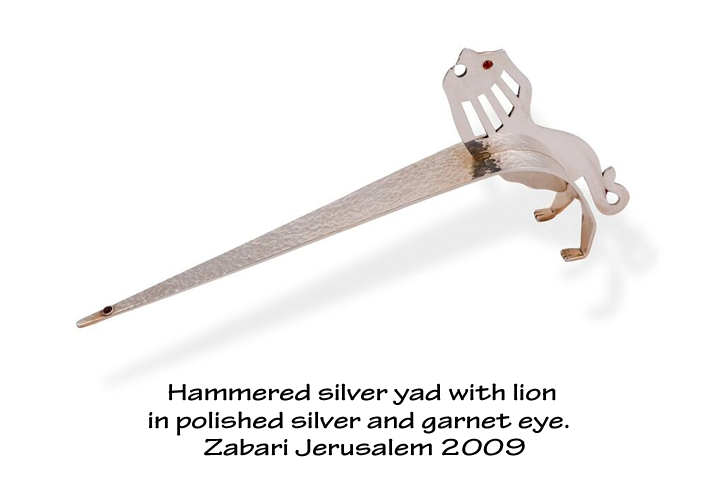 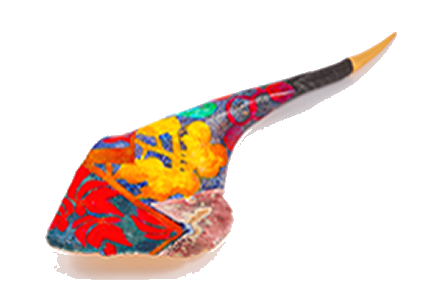 While exclusively Jewish in origin and use, this trove of yads transcends religious iconography and appeals to all who appreciate the beauty and craftsmanship of fine art. 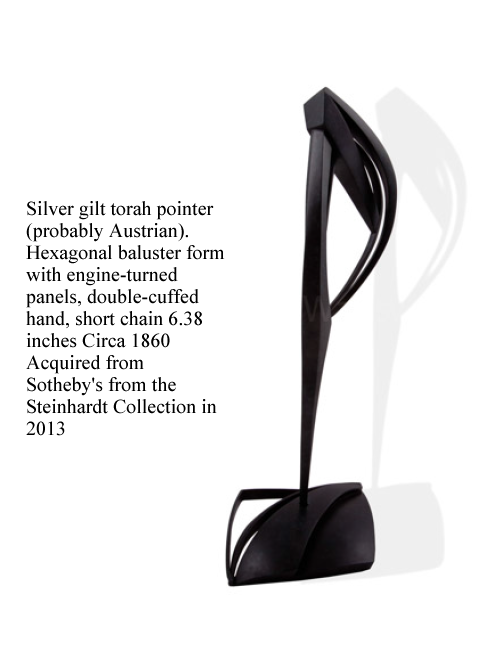 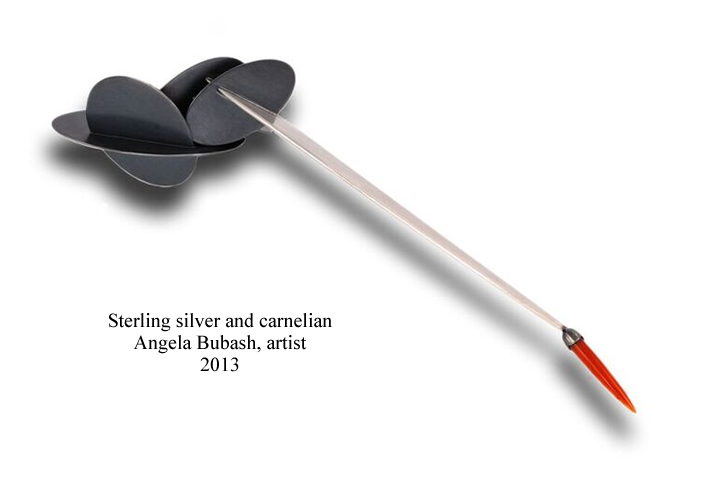 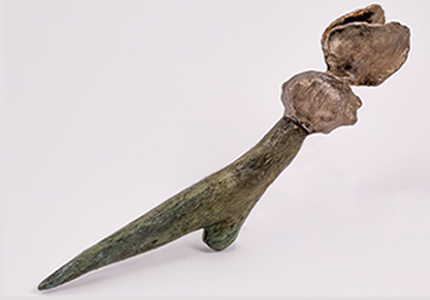 For the first time, the Barr Foundation makes its collection available for public exhibition. 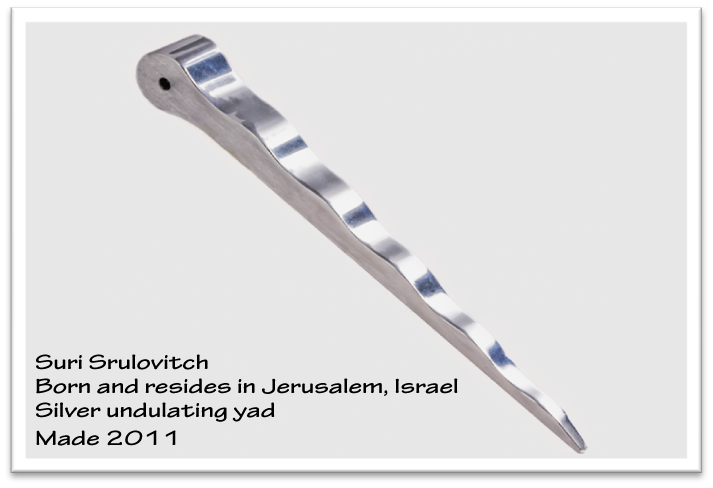 Copyrights © 2017 All Rights Reserved by Barr Foundation Judaica.